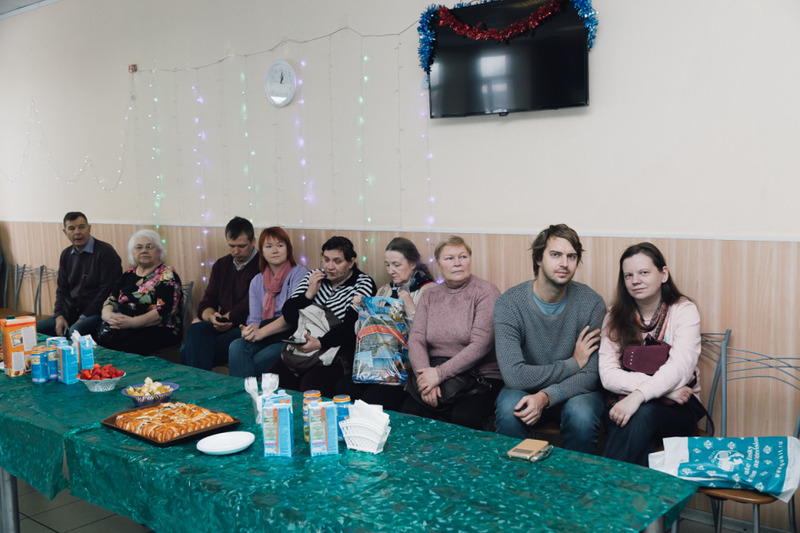 We are accustomed to many ordinary things: walks, annual holidays and a constant social circle. 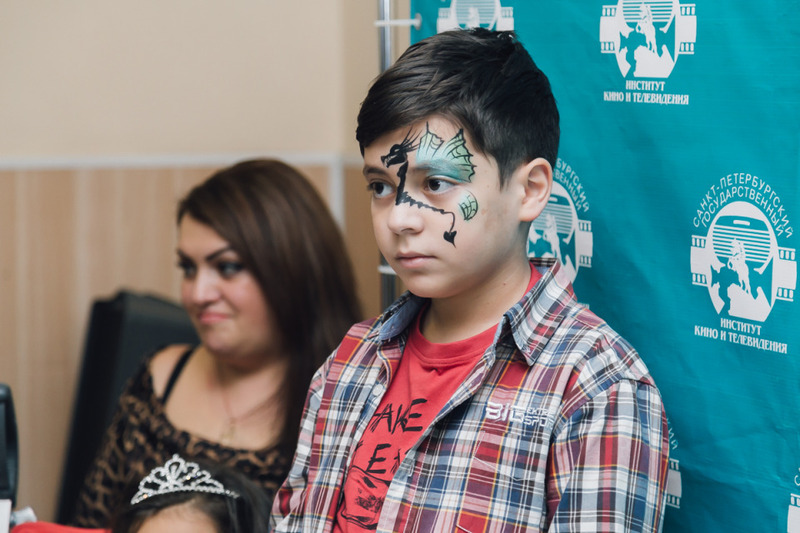 For children from "Arevik" life goes differently. 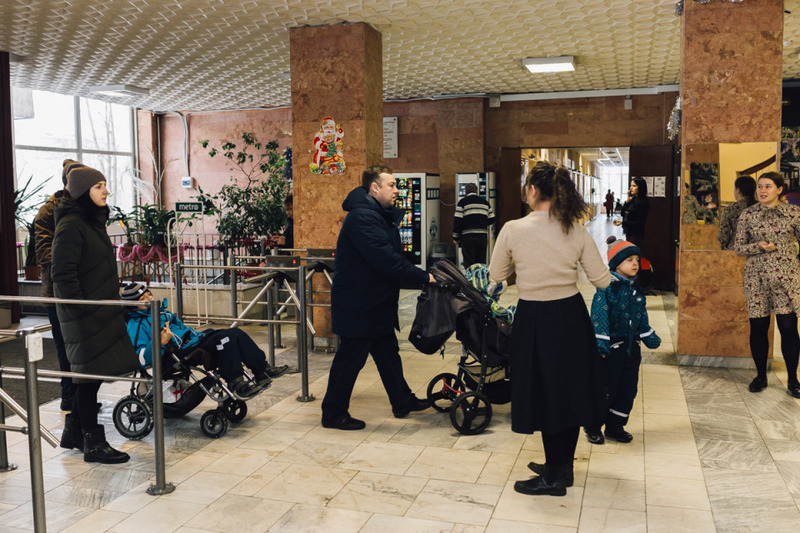 For many of them, departure to the city center is a holiday, and meetings with friends in the Palace are accompanied by their hobbies. 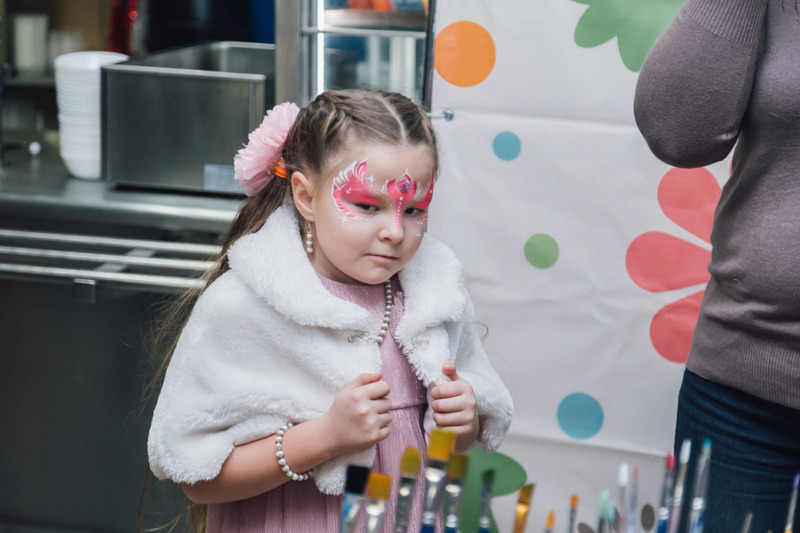 Children are engaged in dancing, painting, creating cartoons - for them it is a practical opportunity to realize their talents and hobbies. 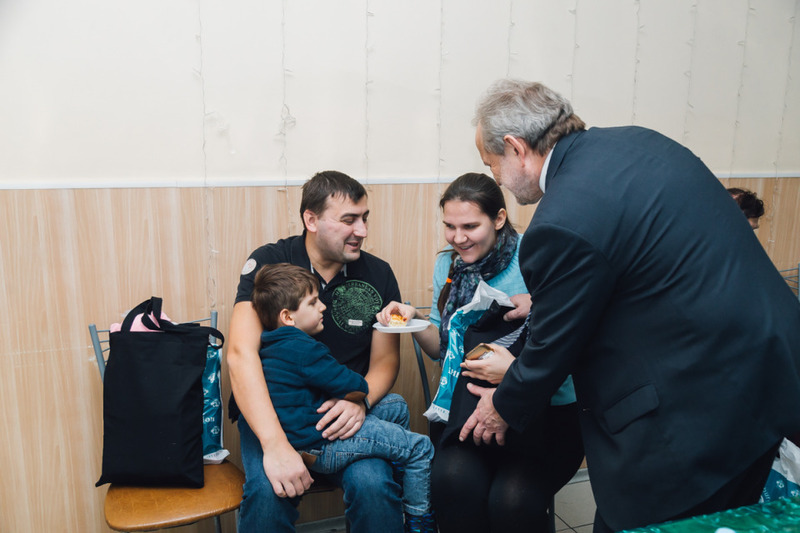 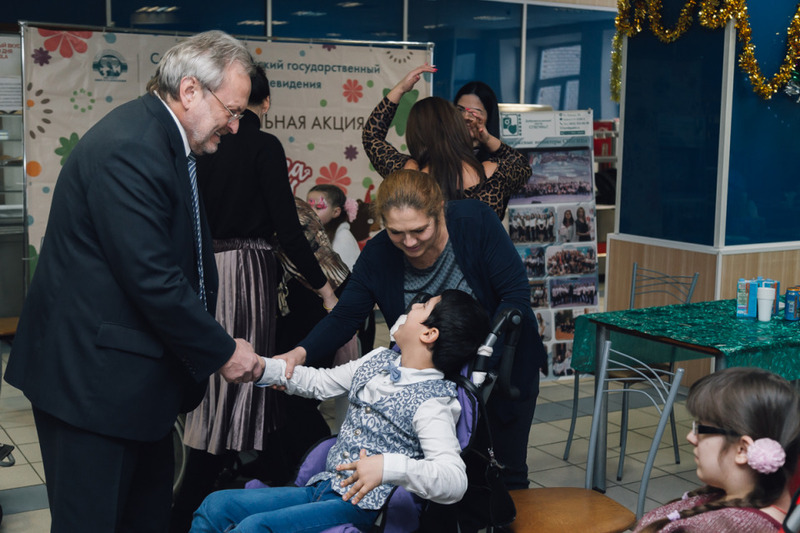 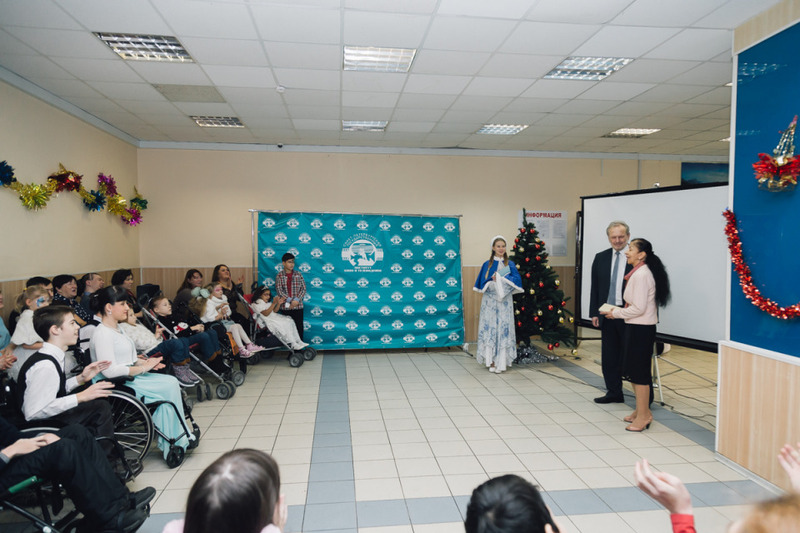 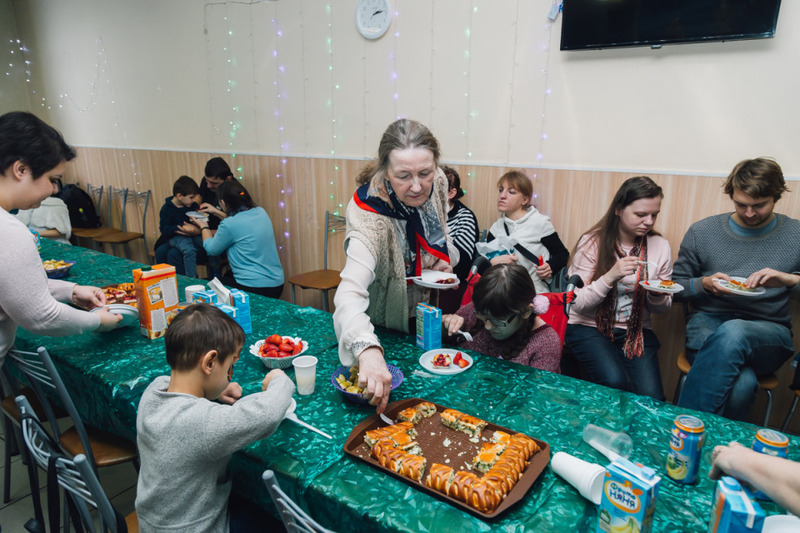 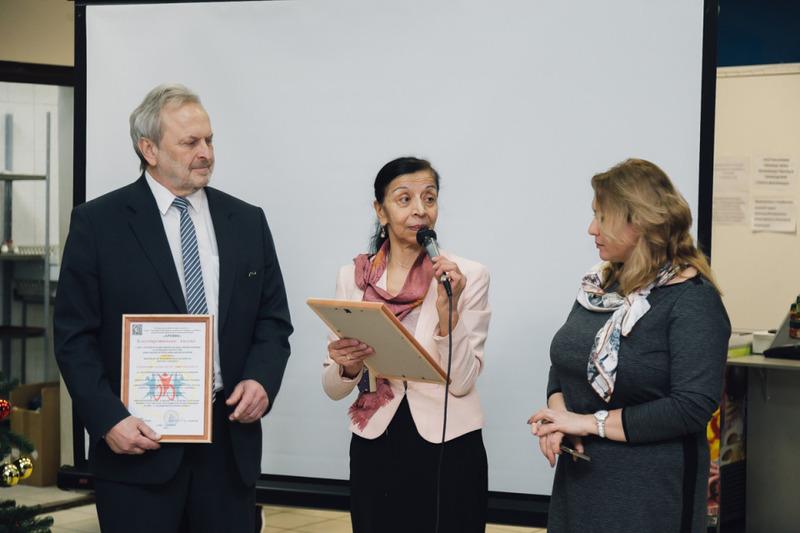 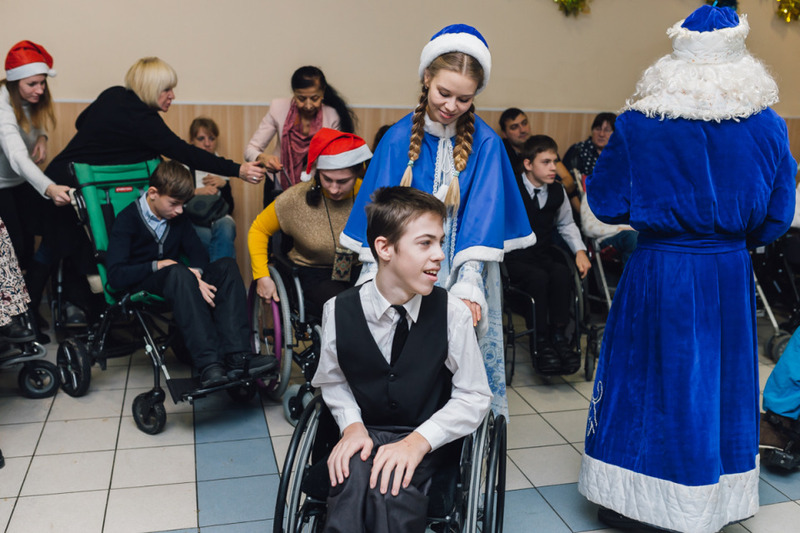 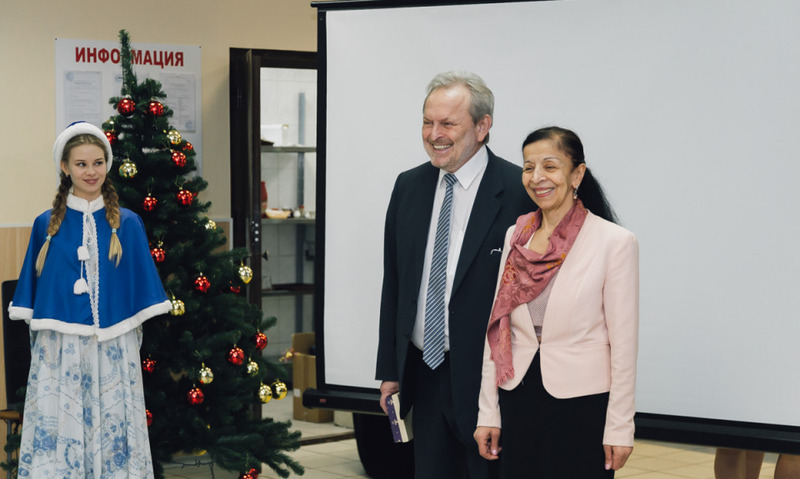 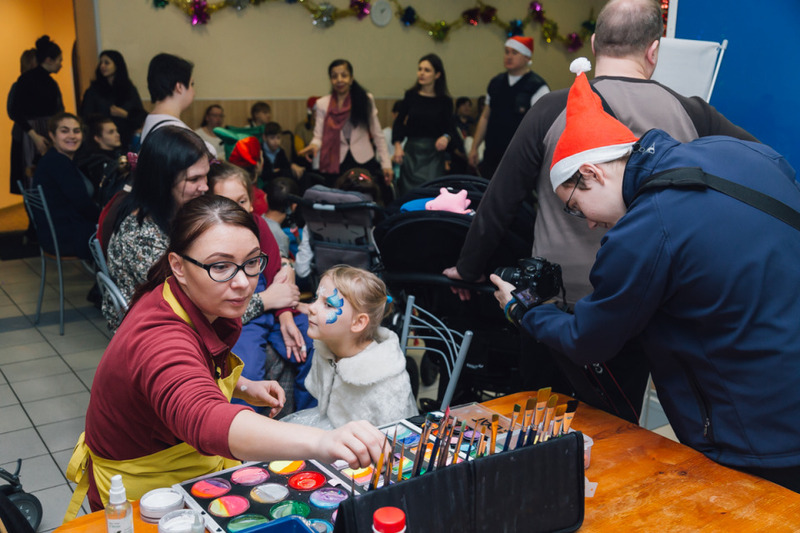 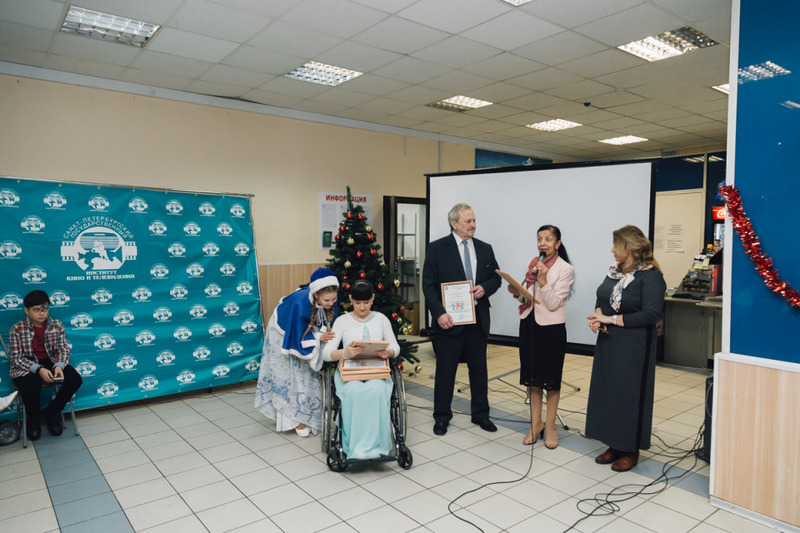 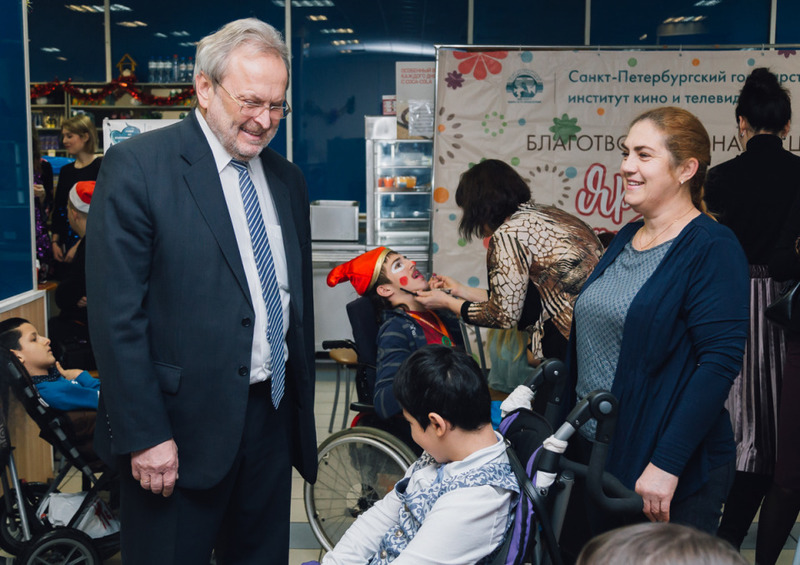 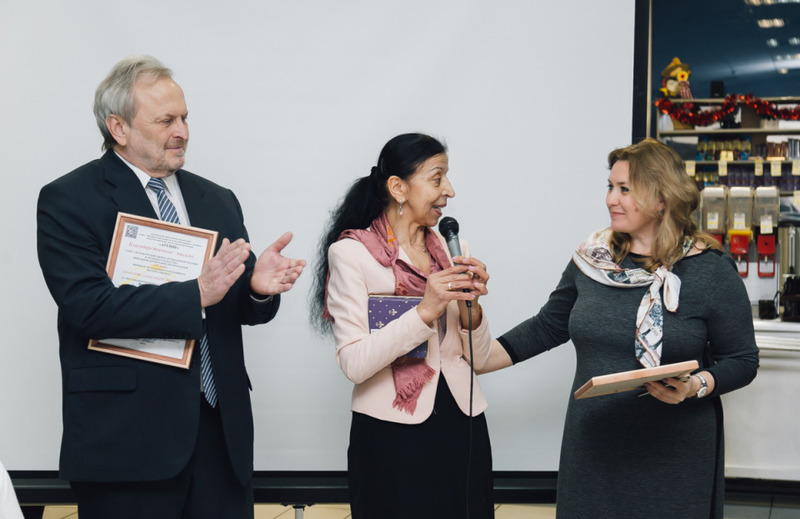 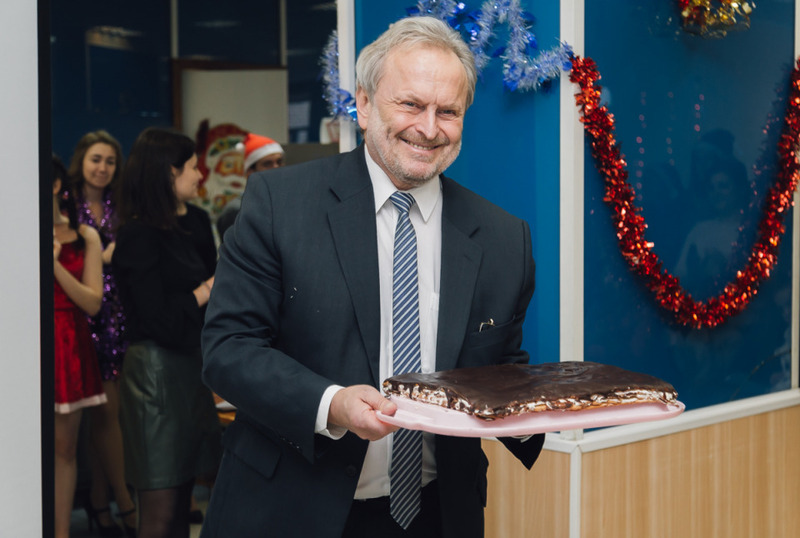 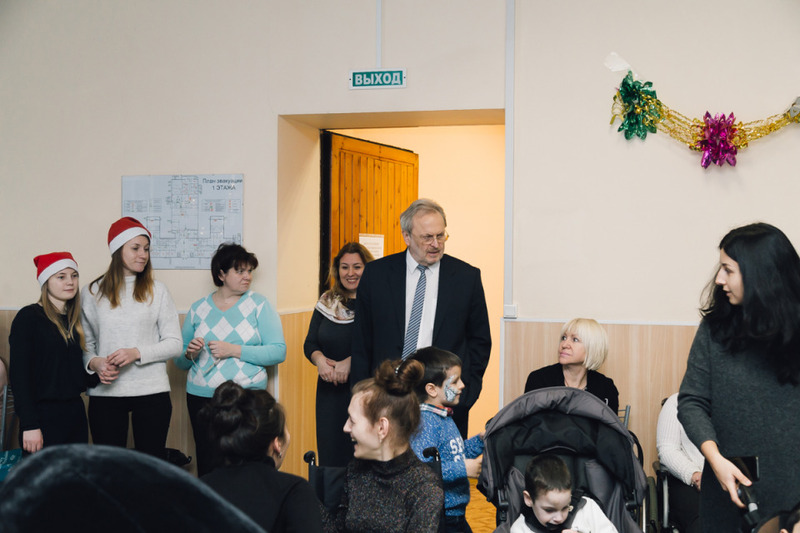 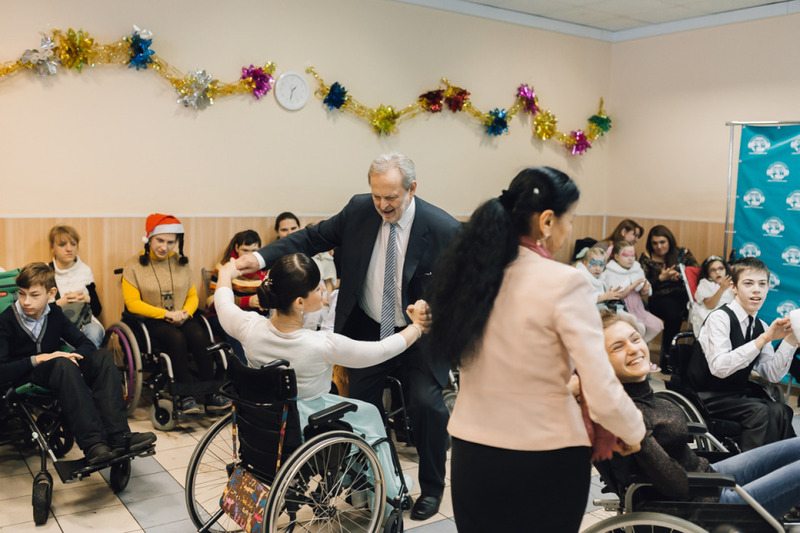 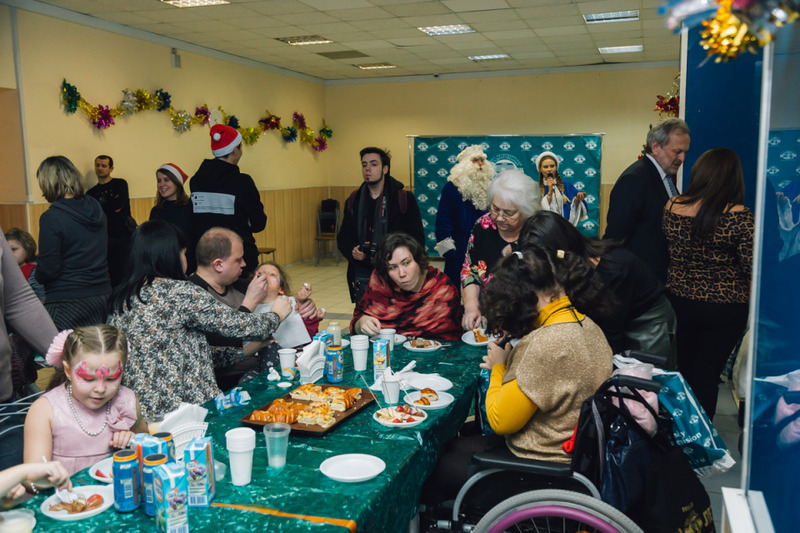 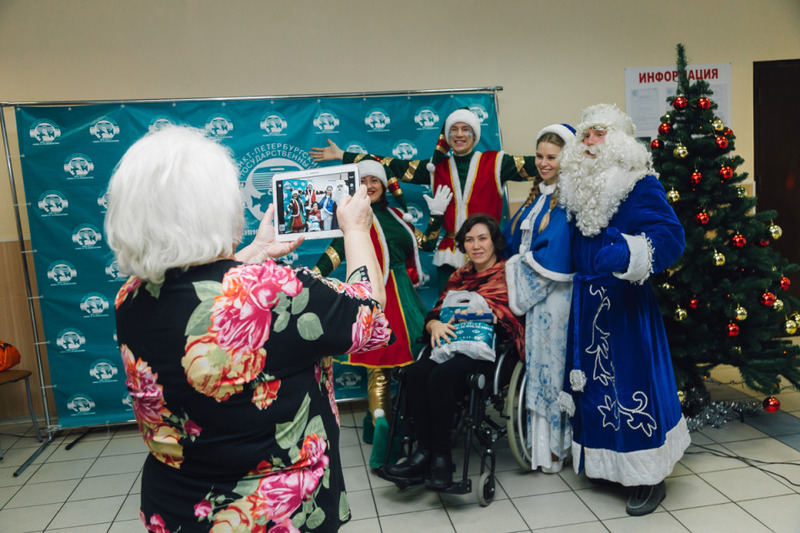 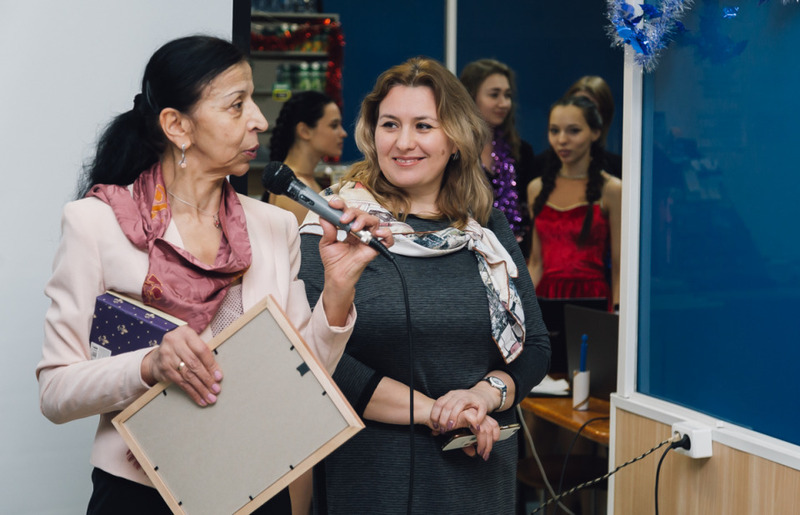 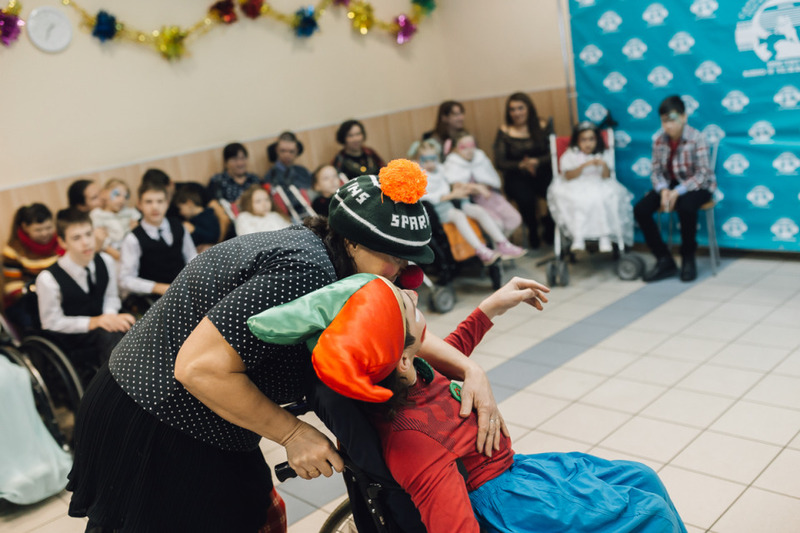 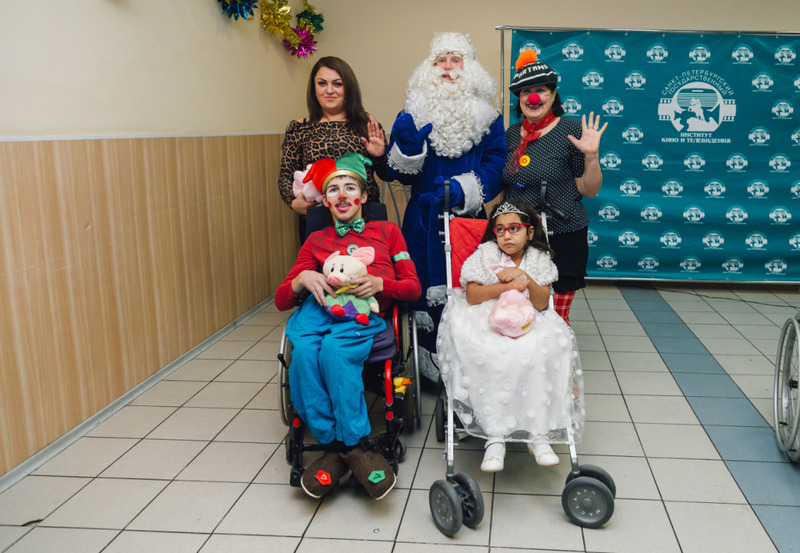 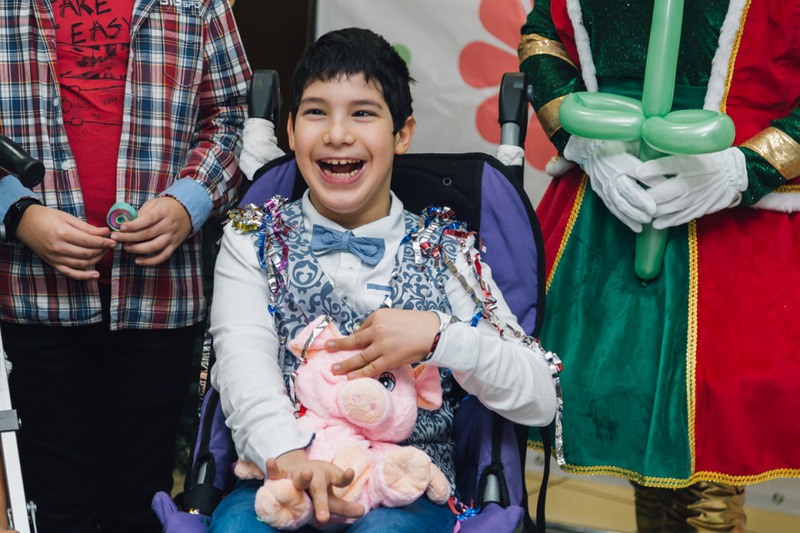 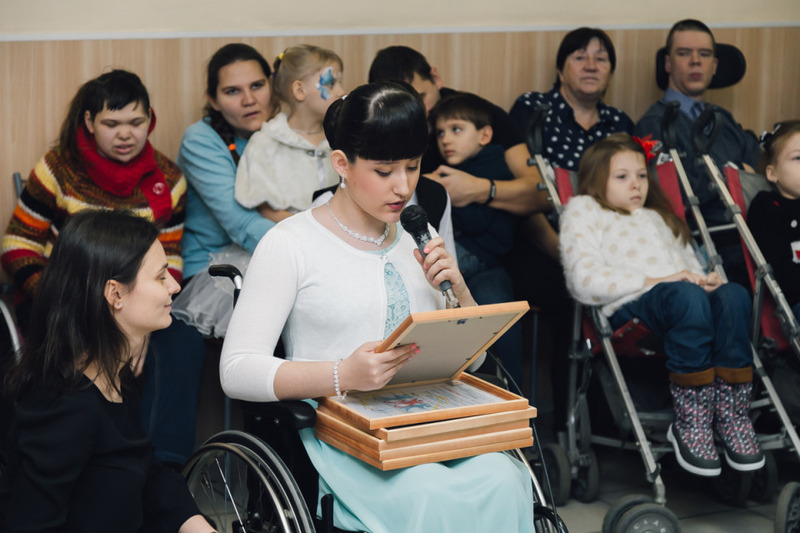 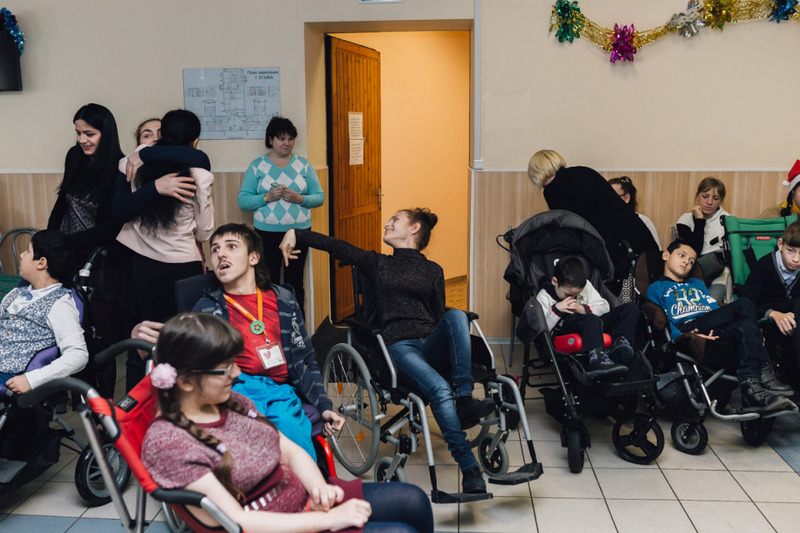 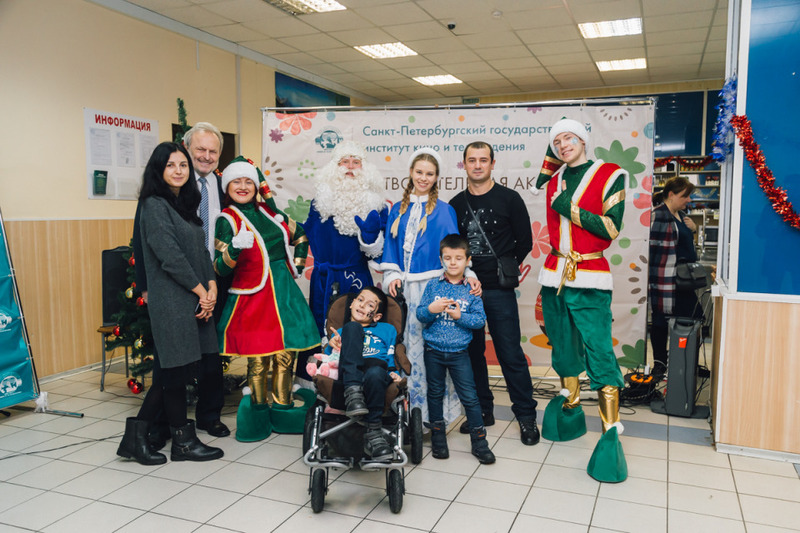 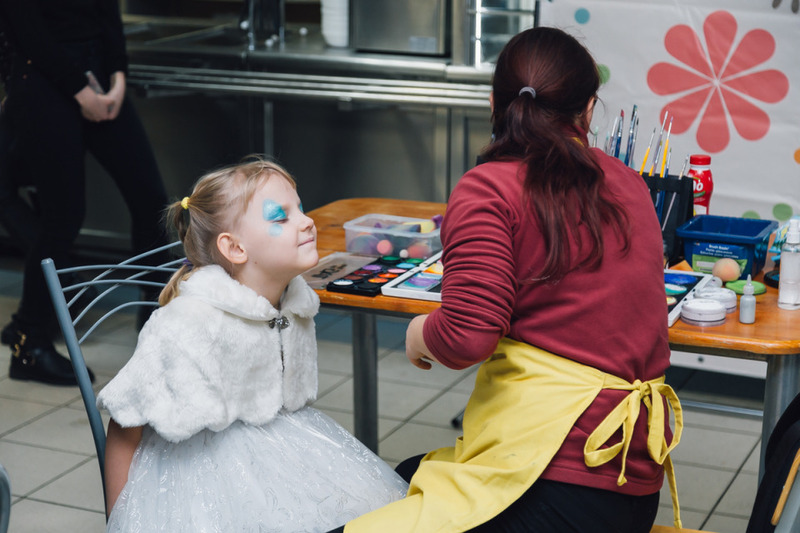 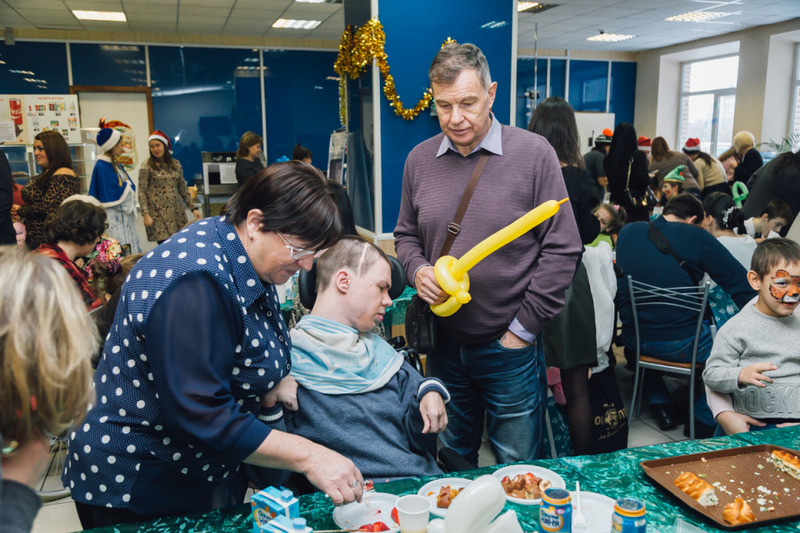 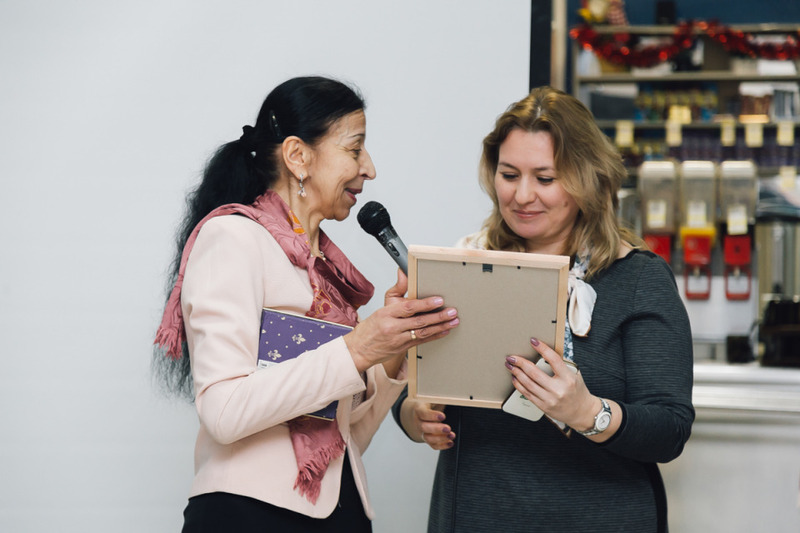 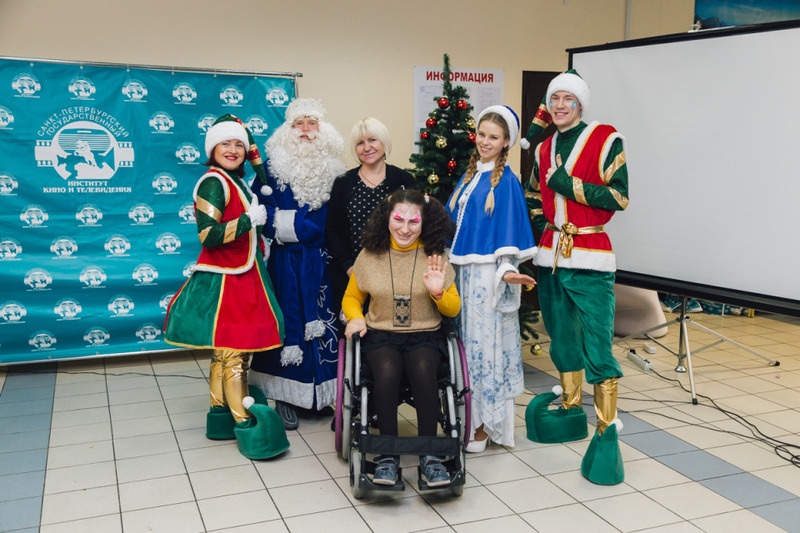 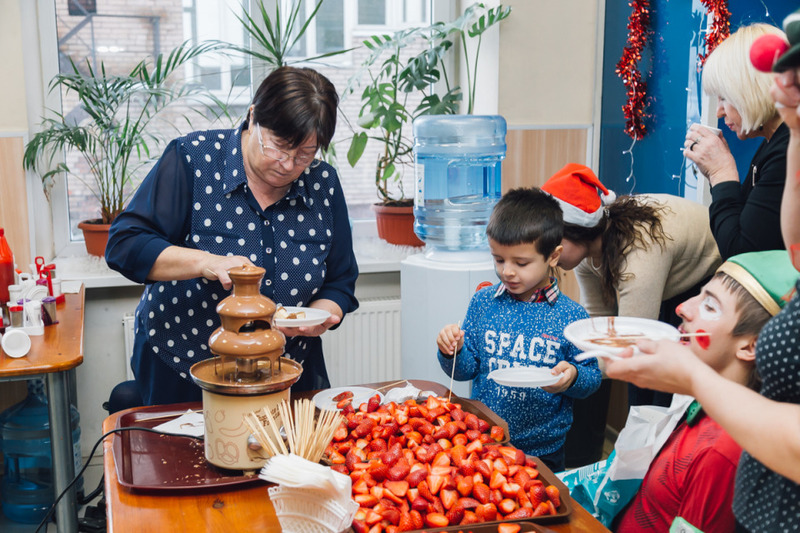 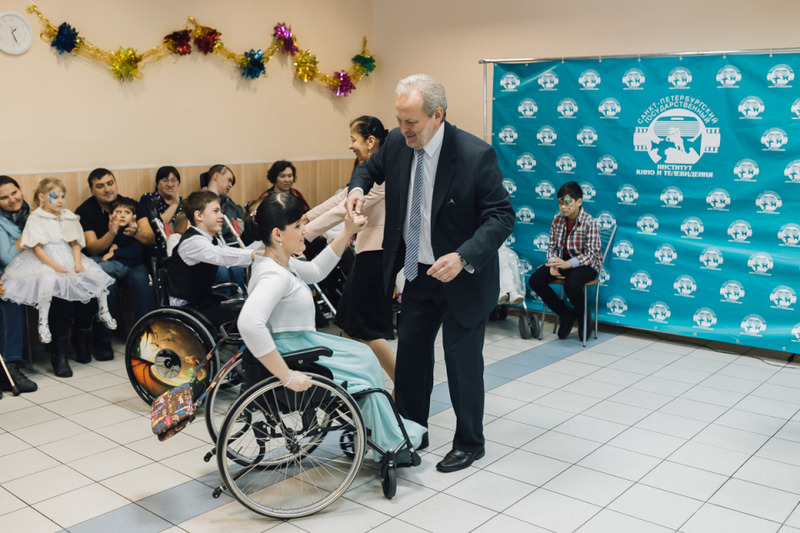 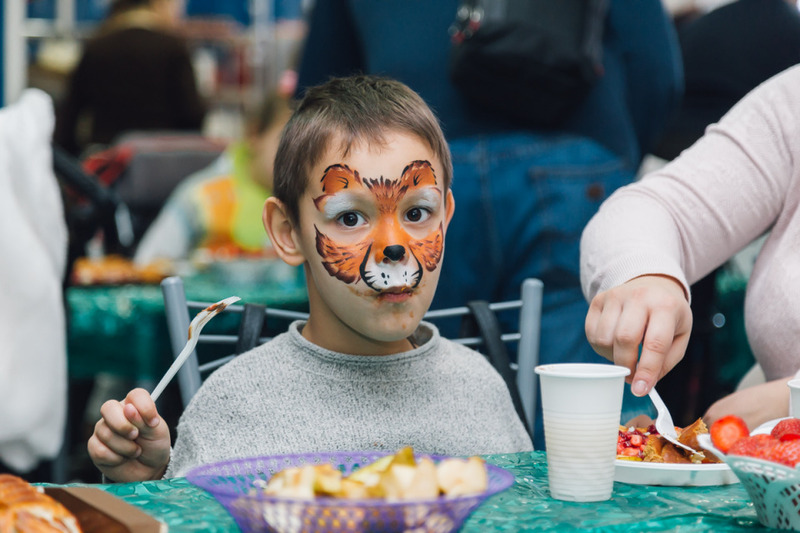 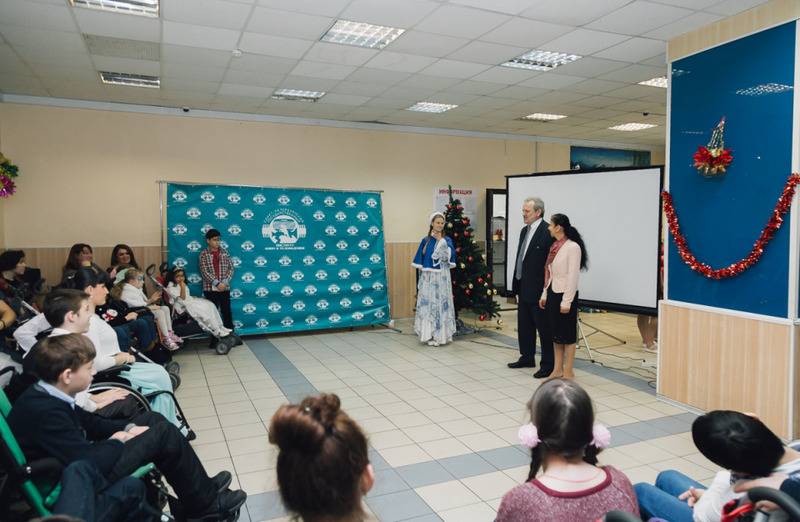 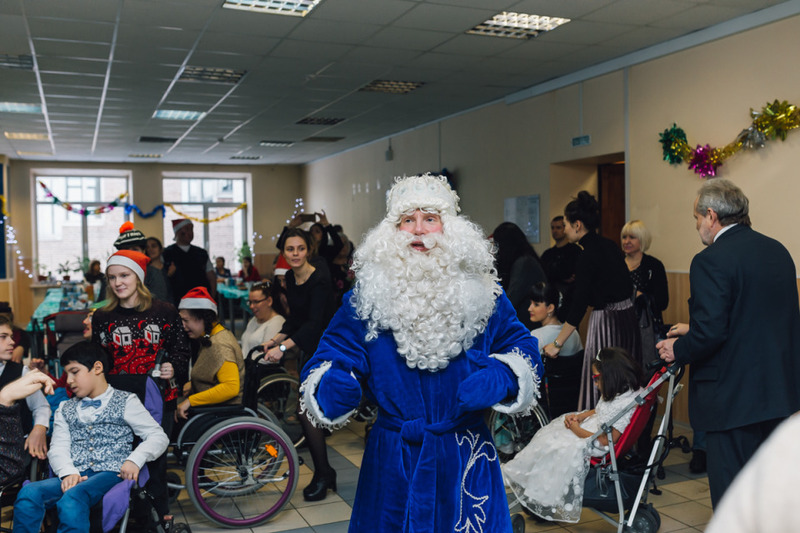 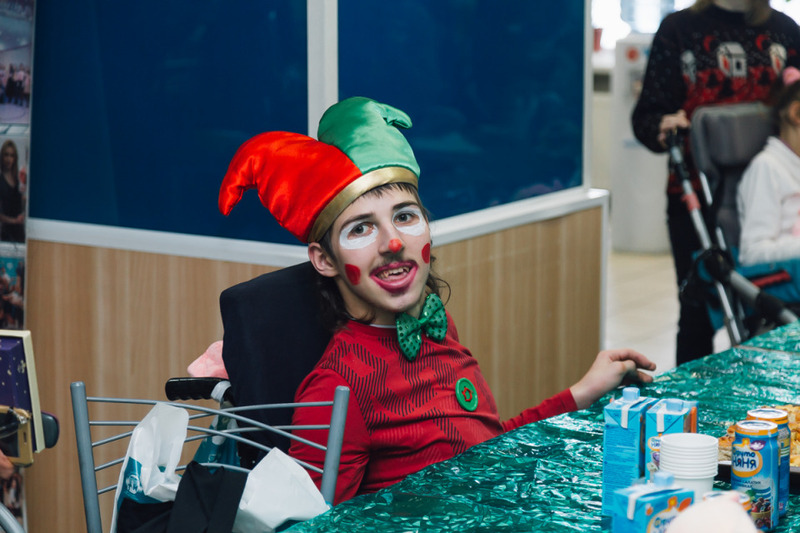 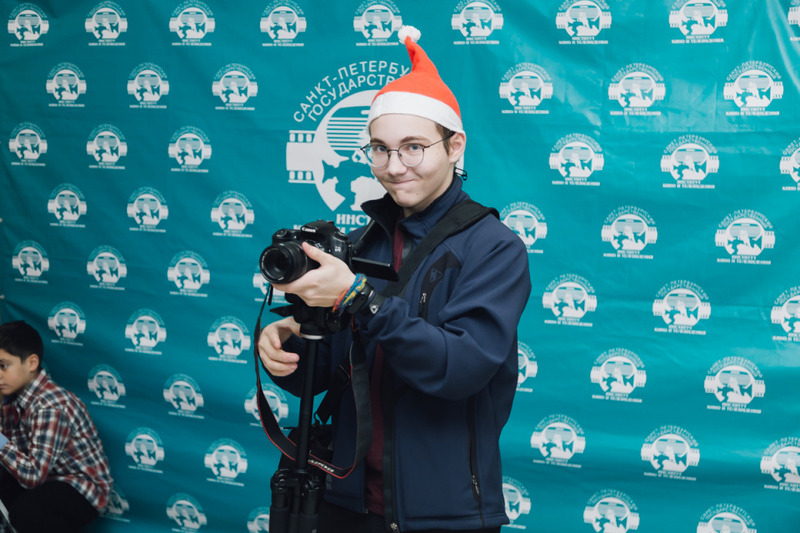 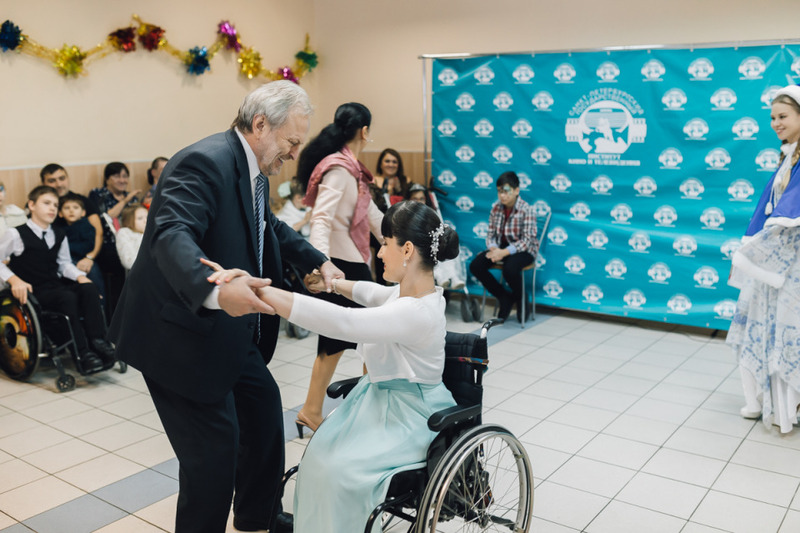 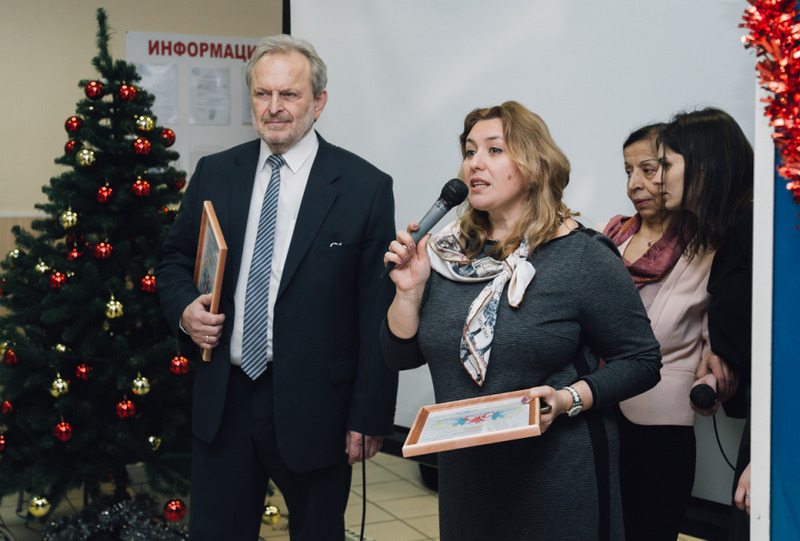 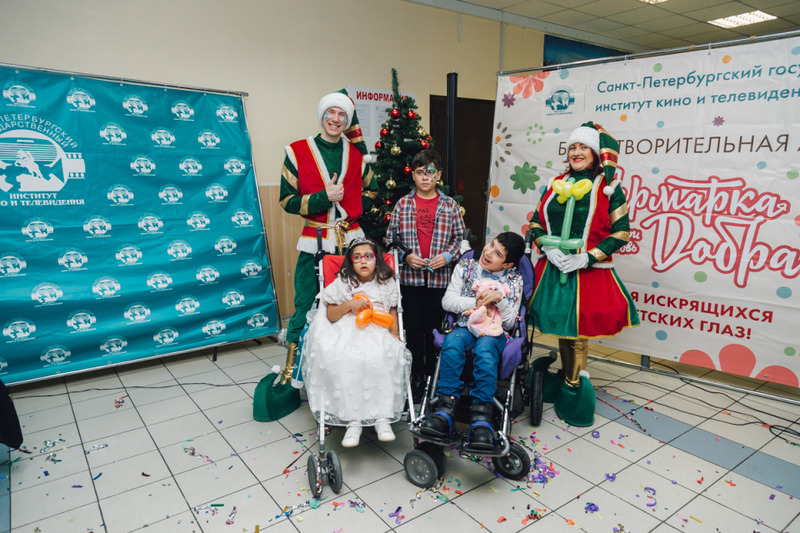 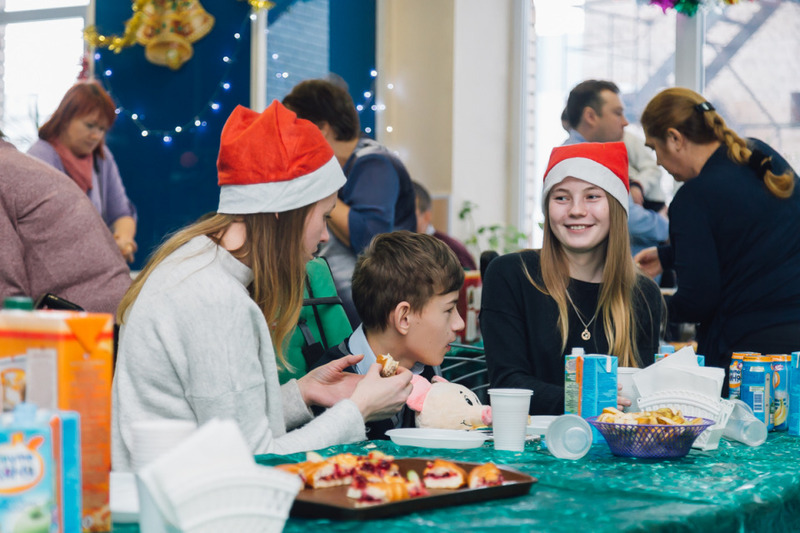 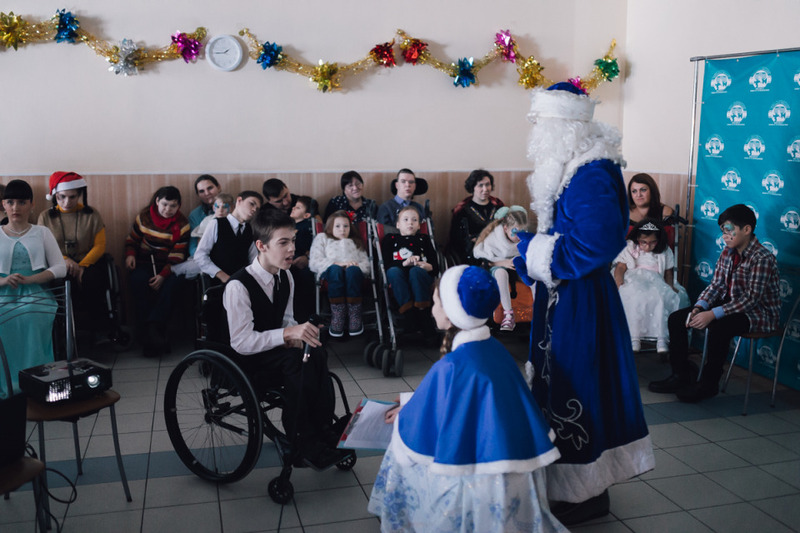 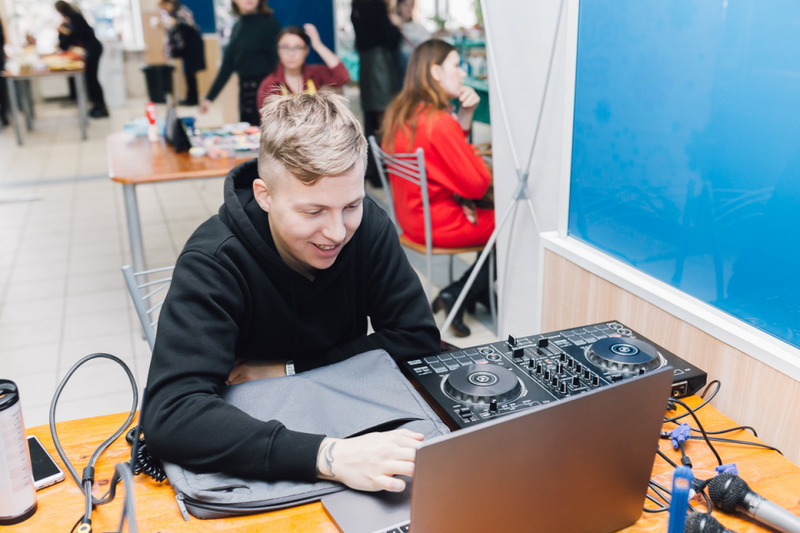 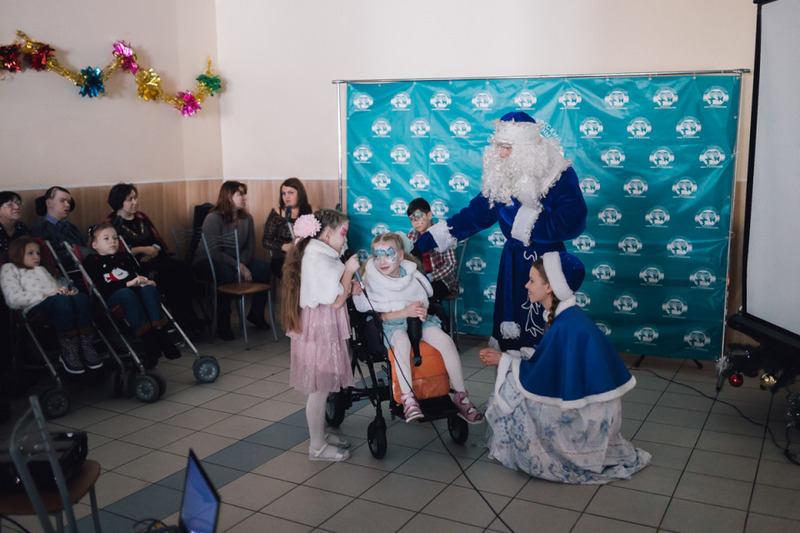 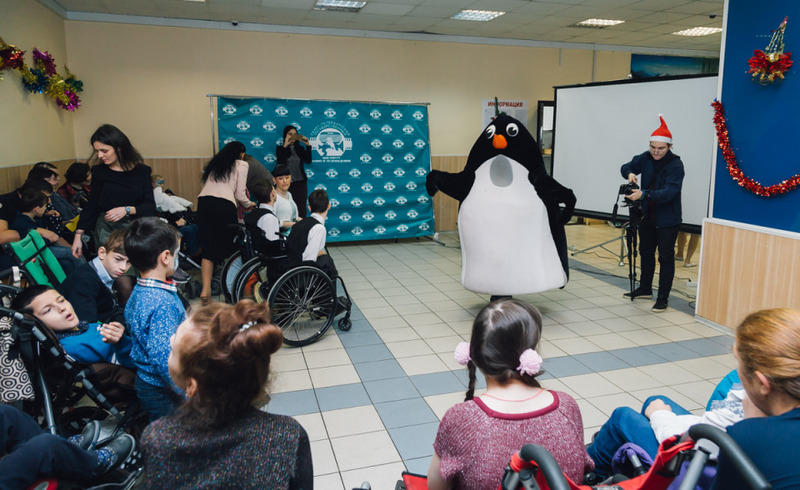 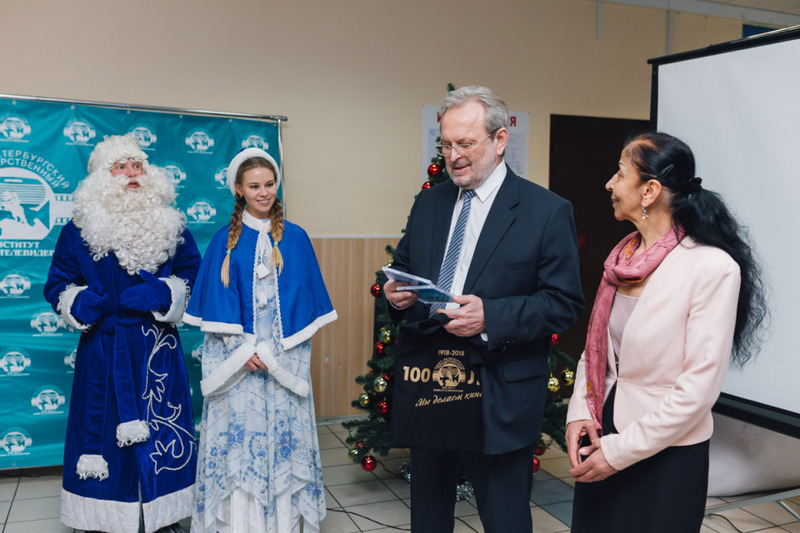 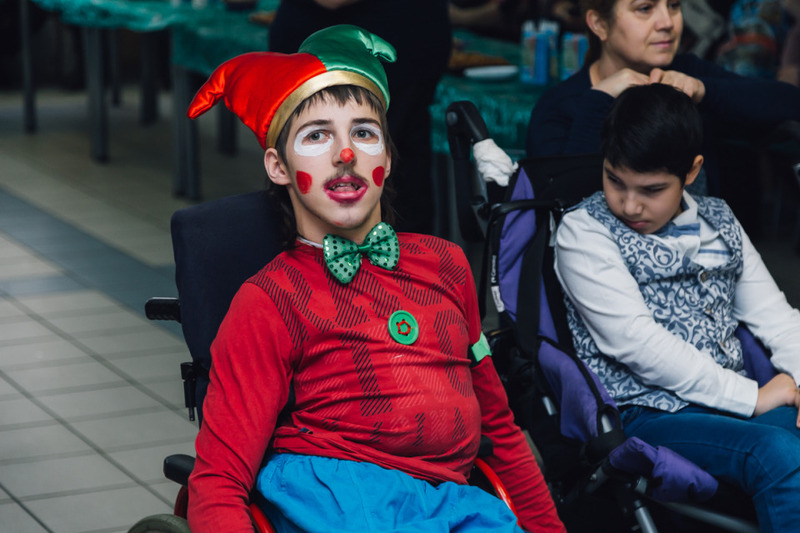 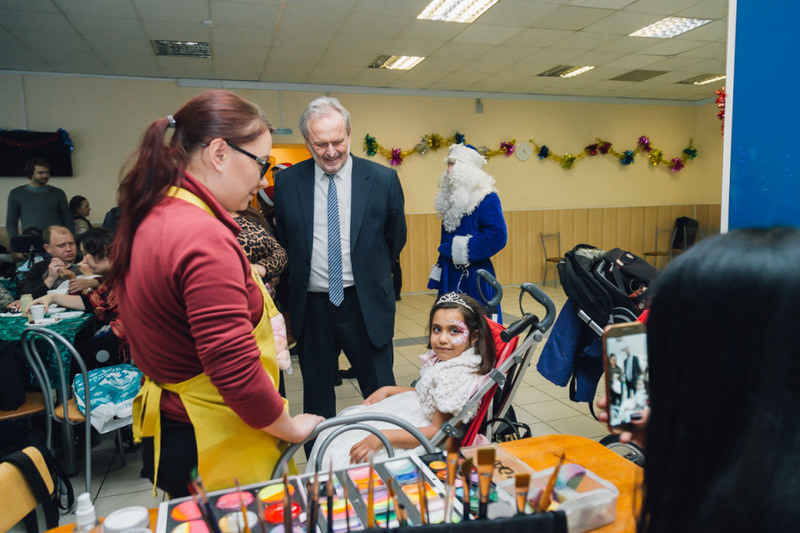 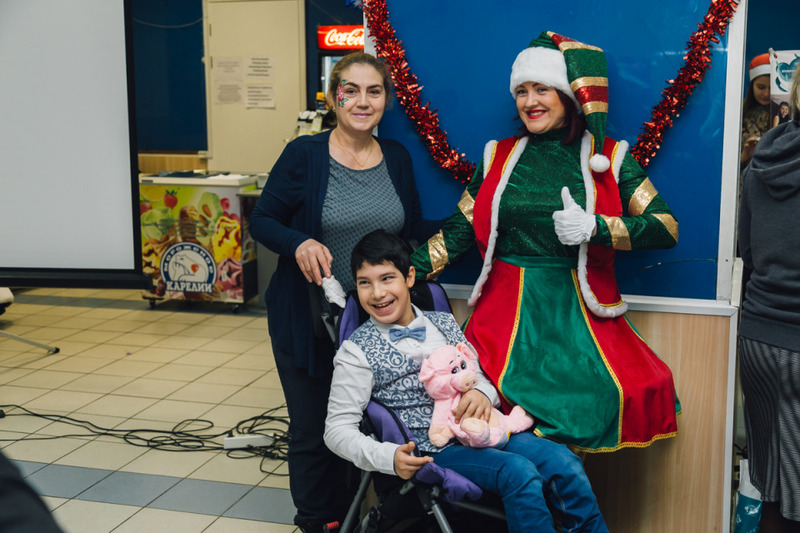 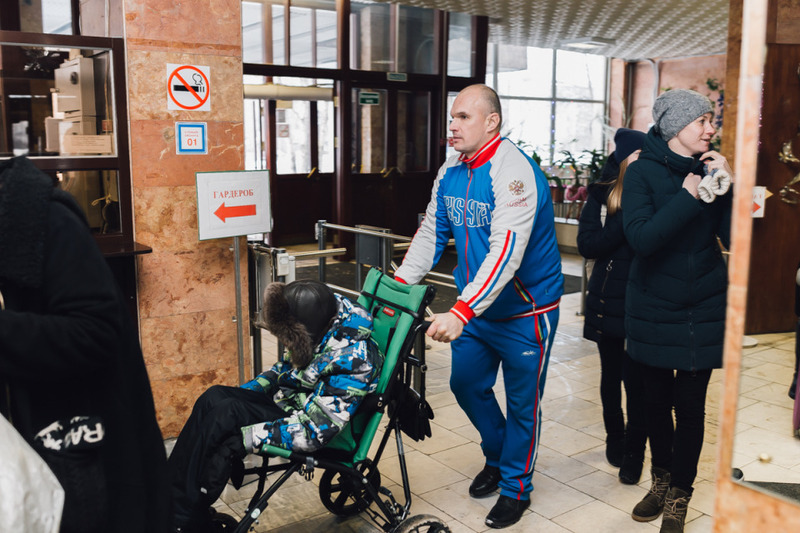 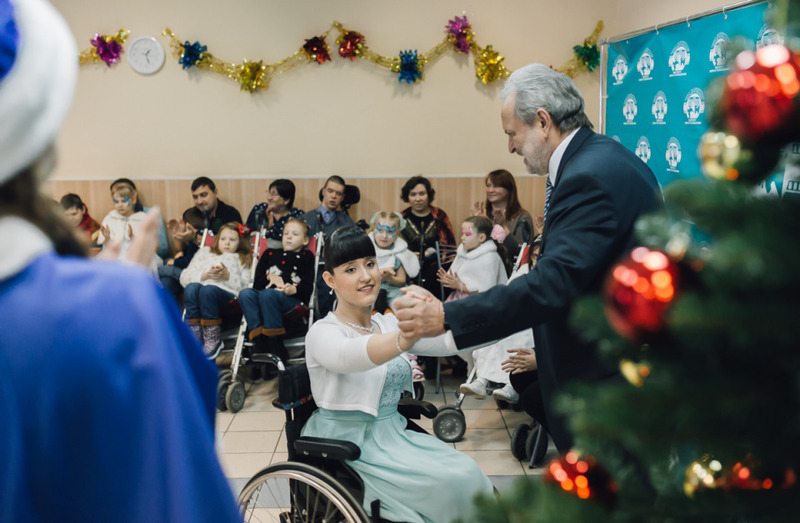 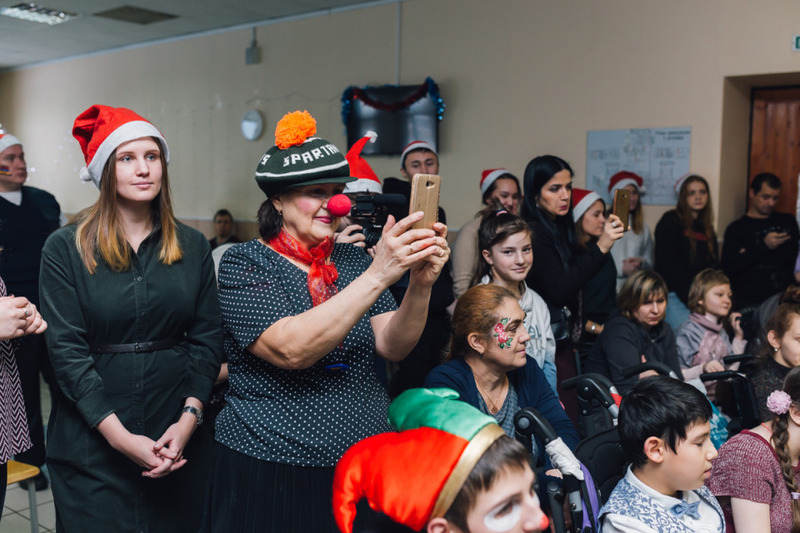 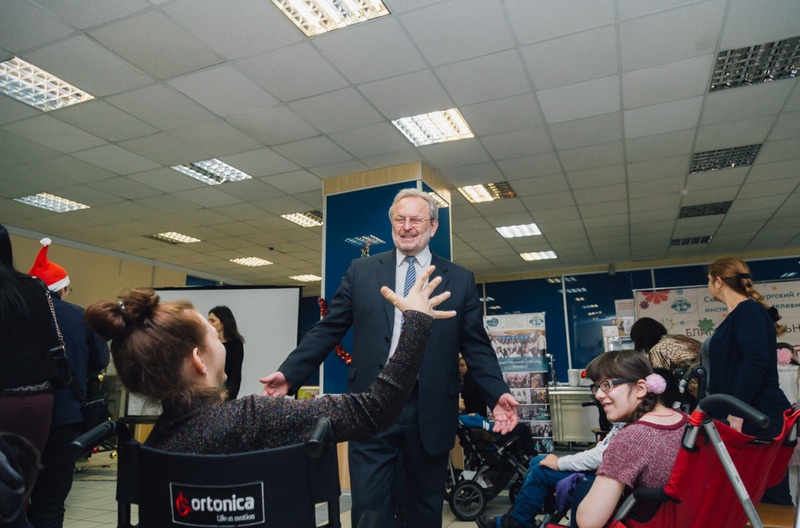 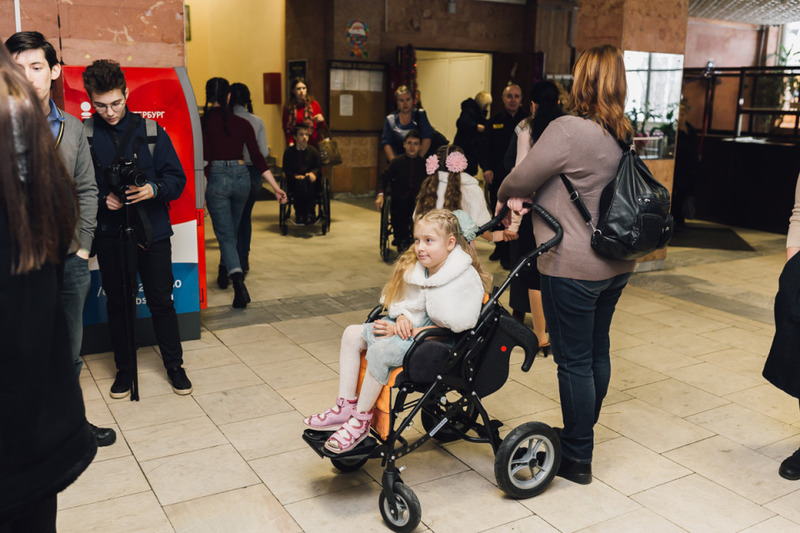 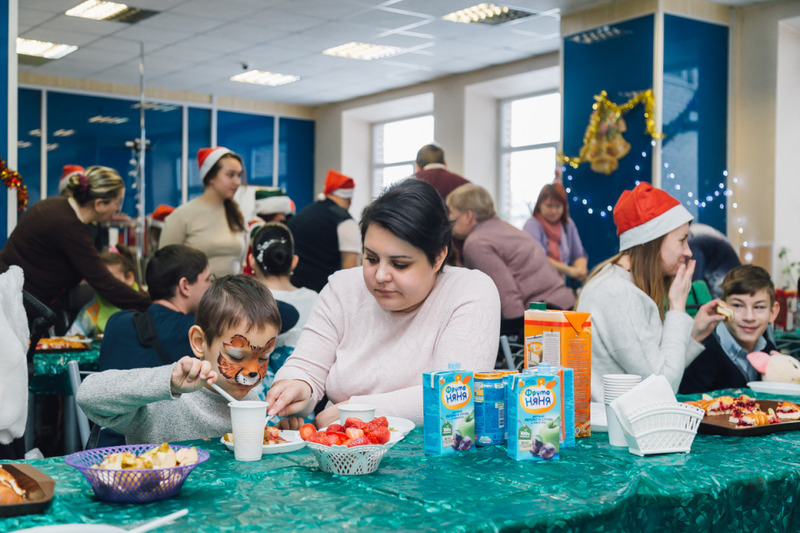 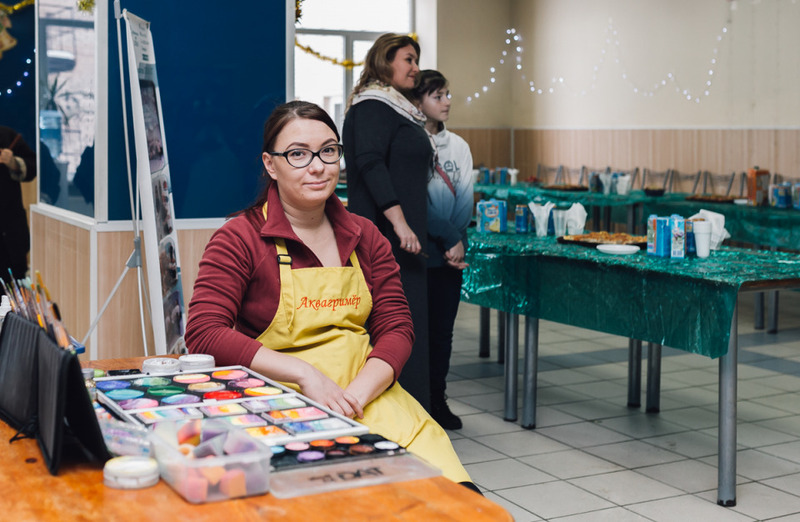 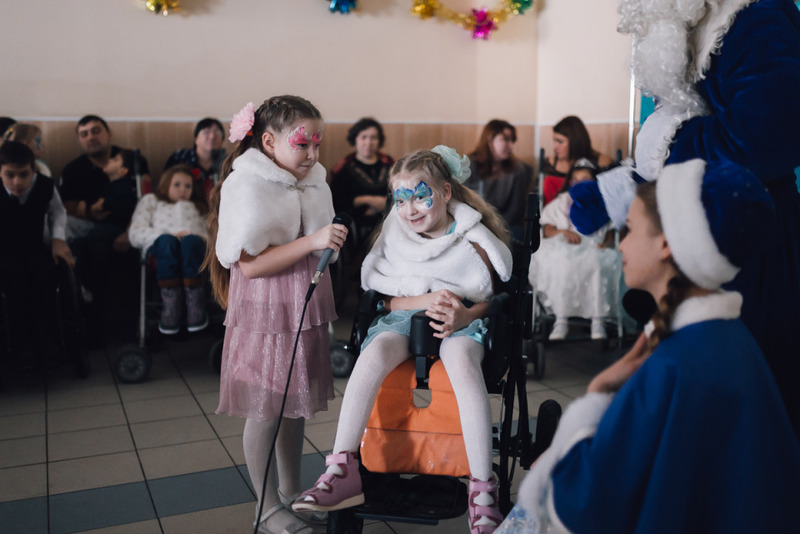 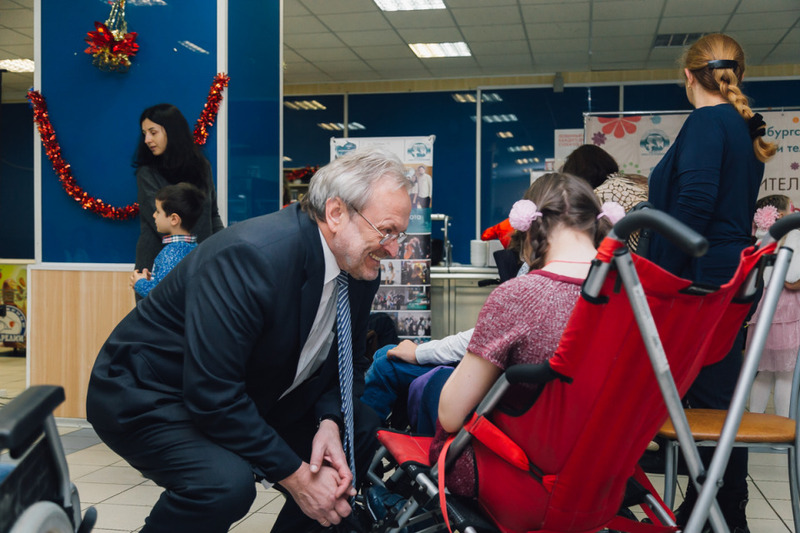 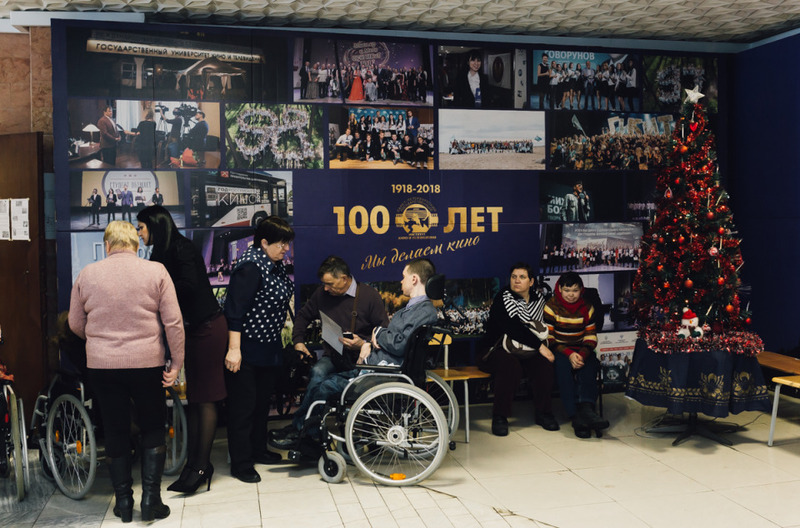 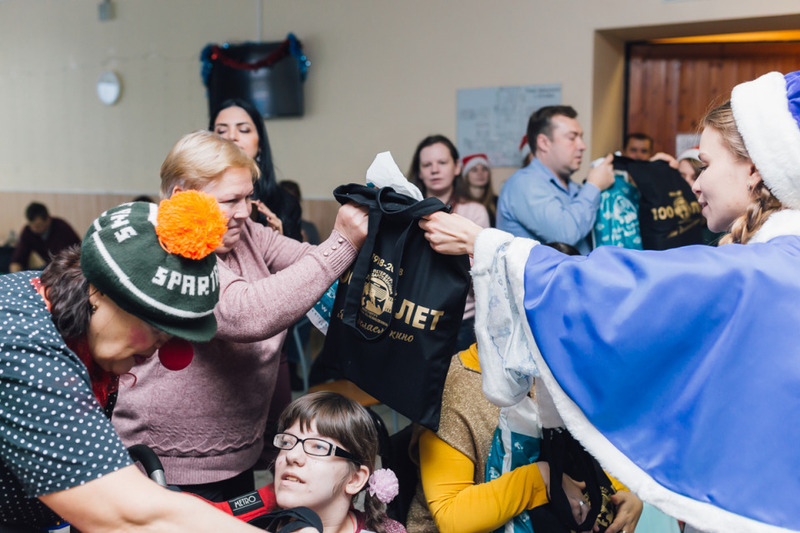 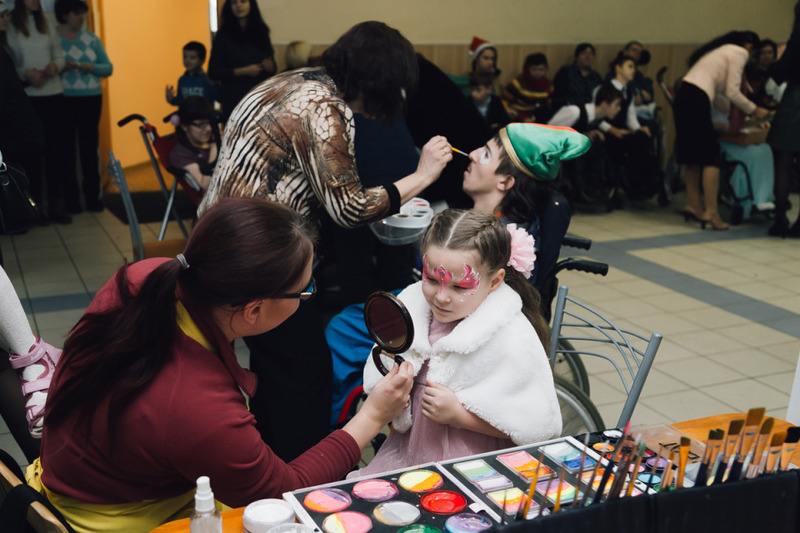 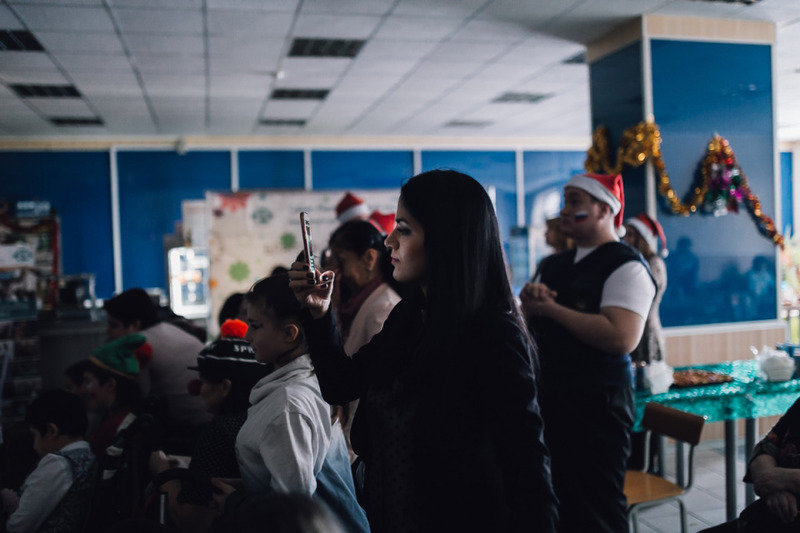 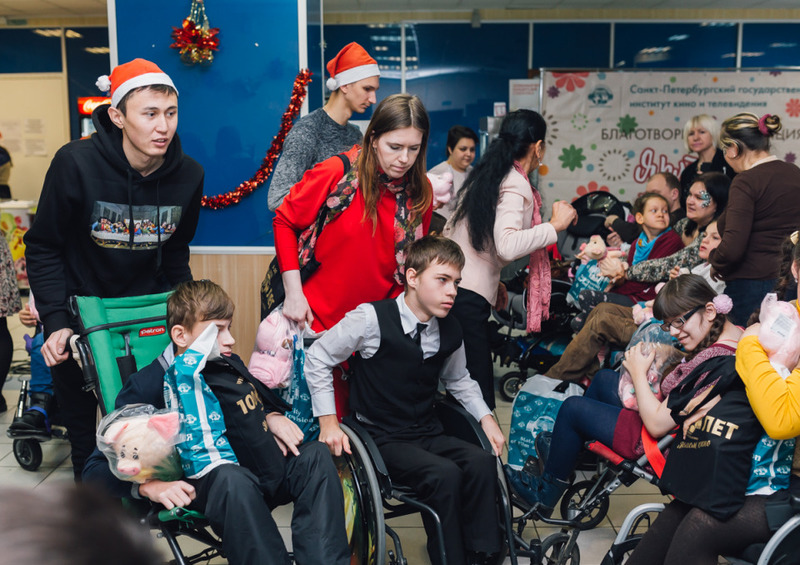 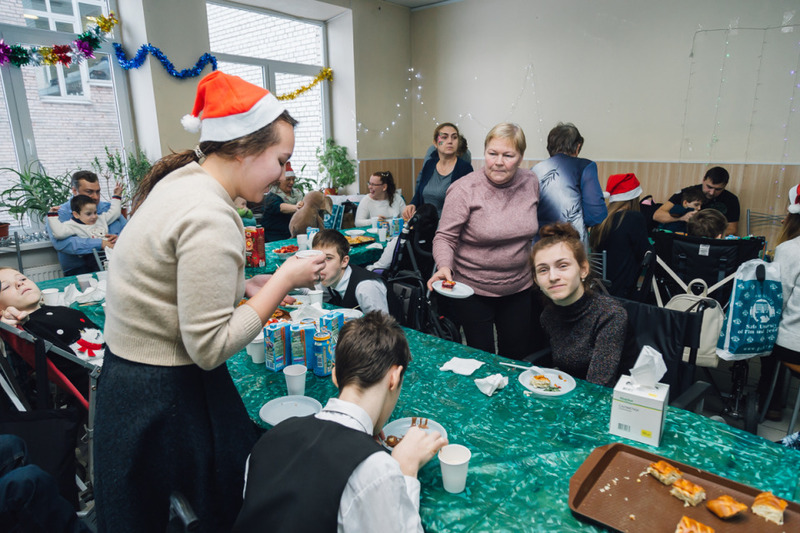 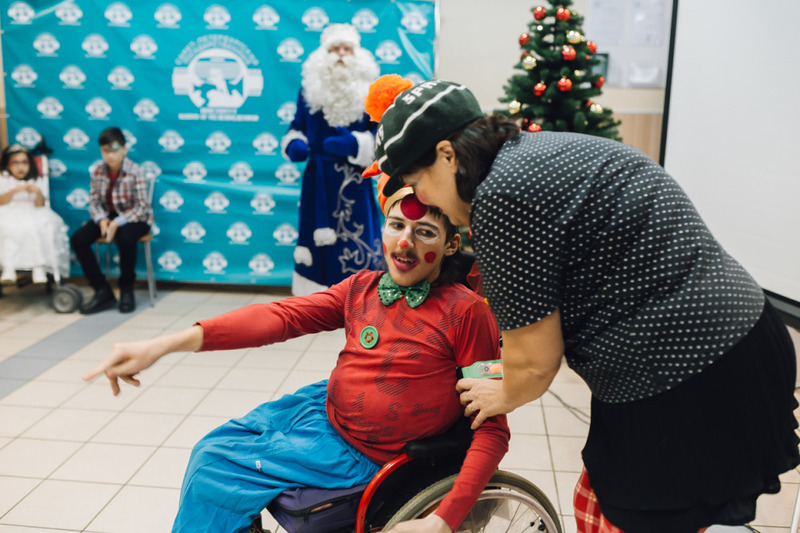 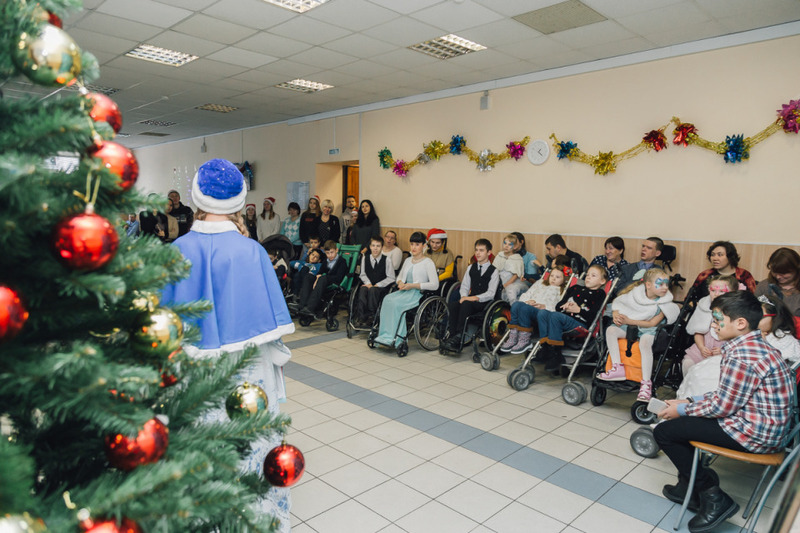 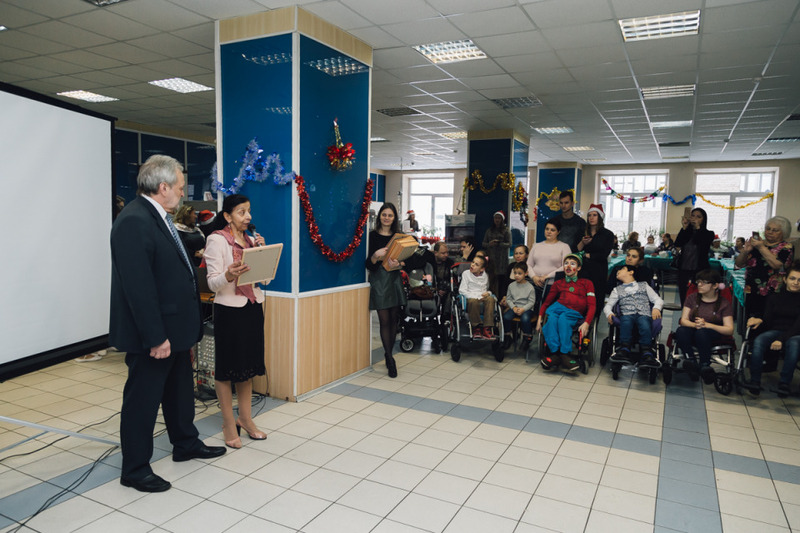 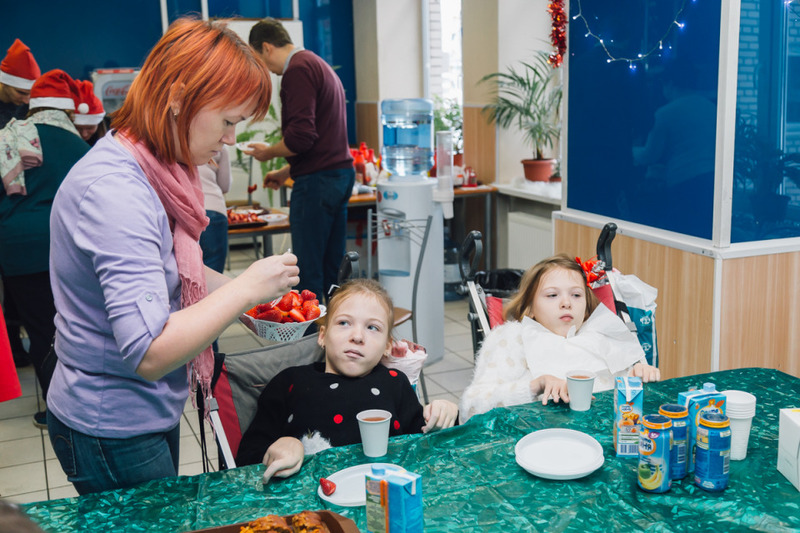 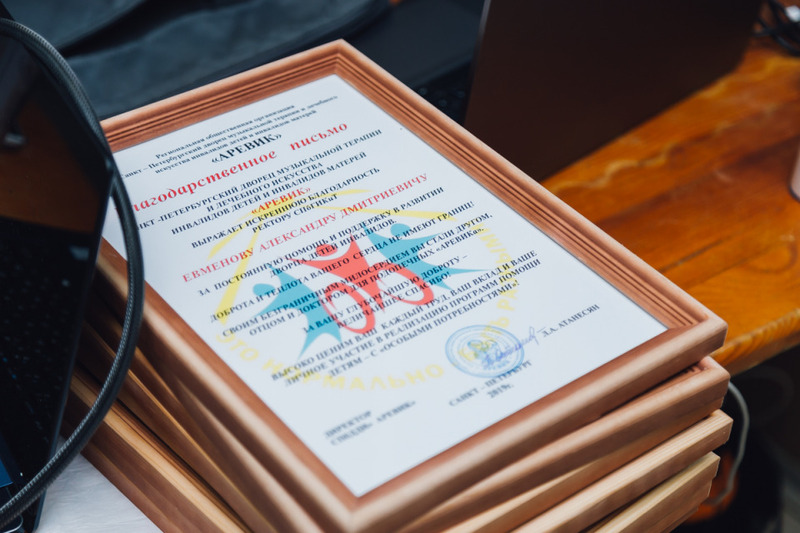 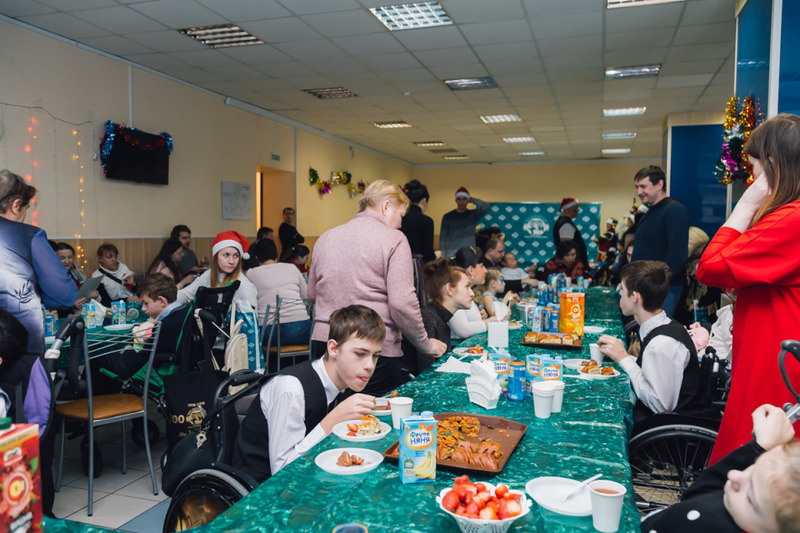 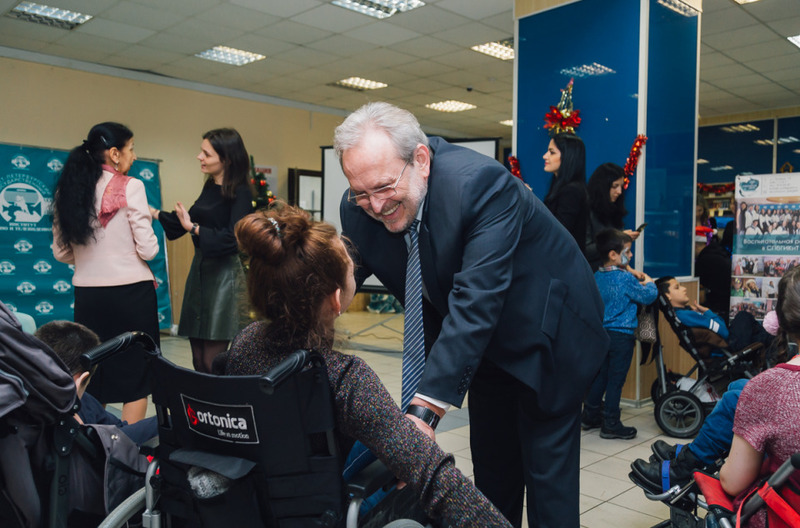 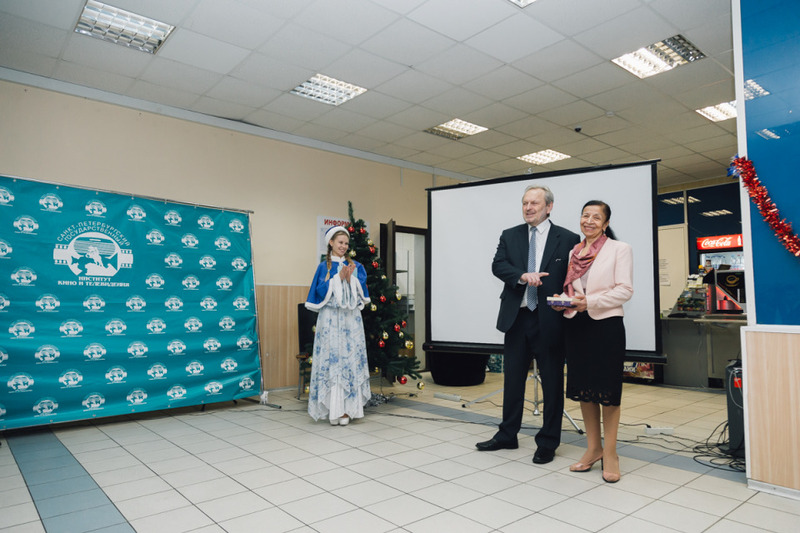 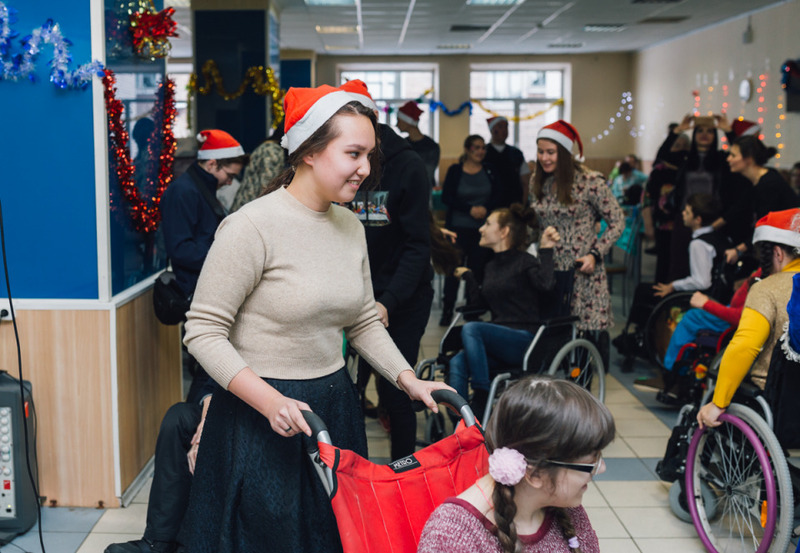 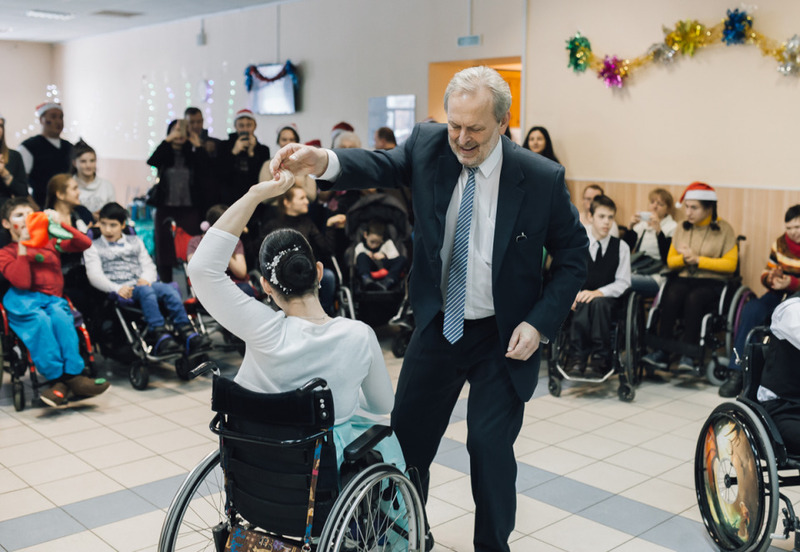 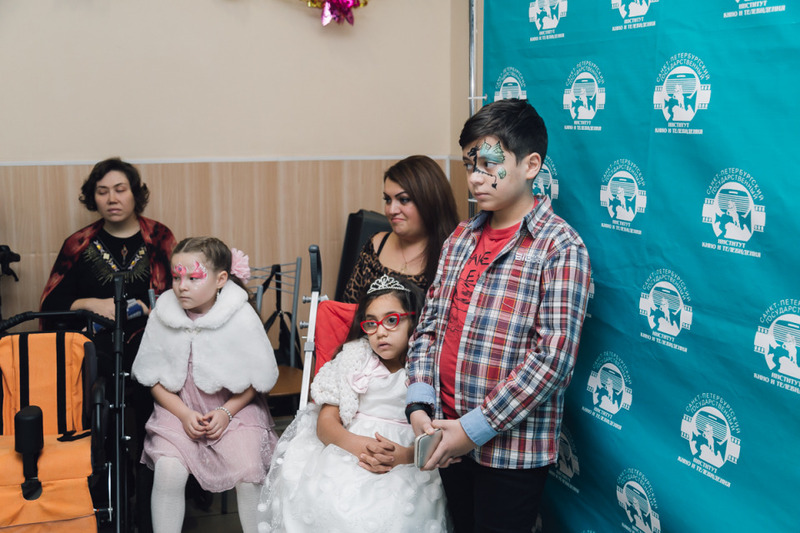 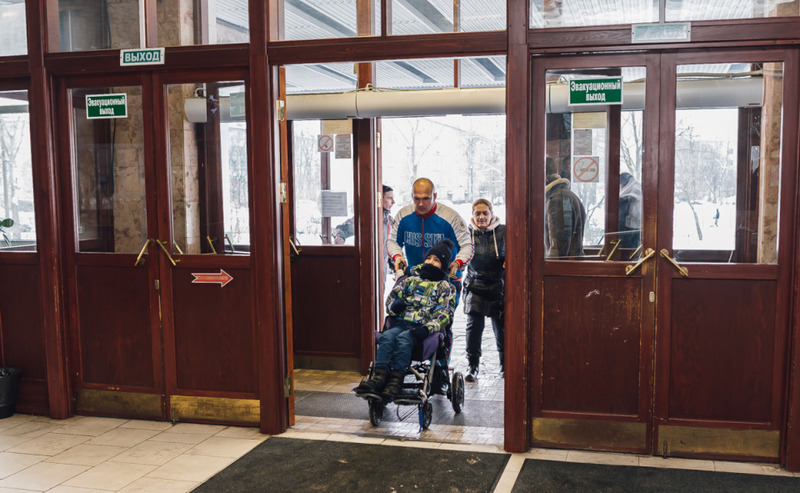 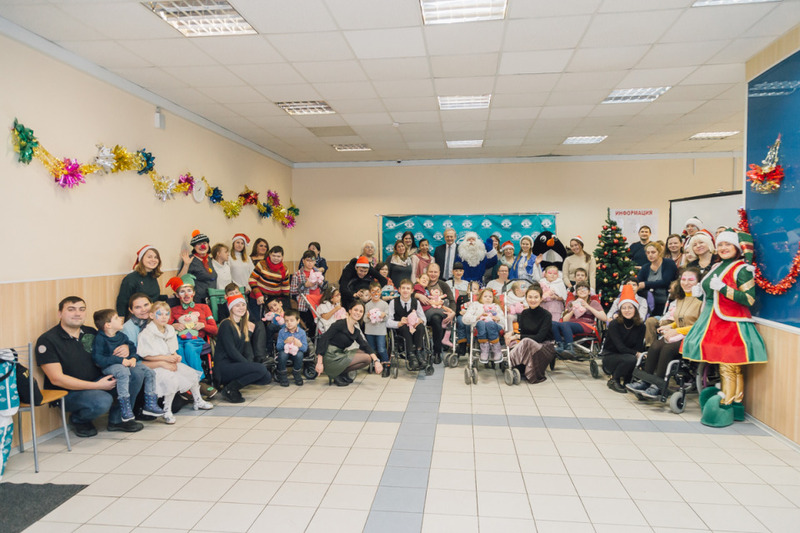 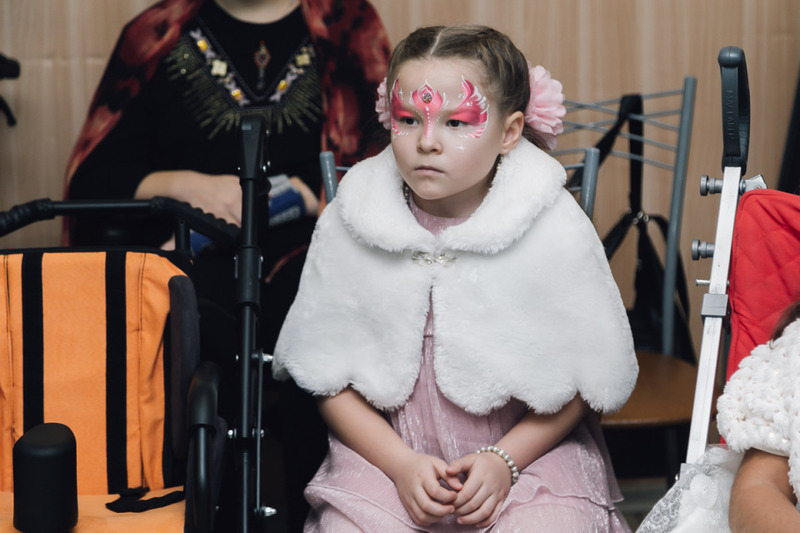 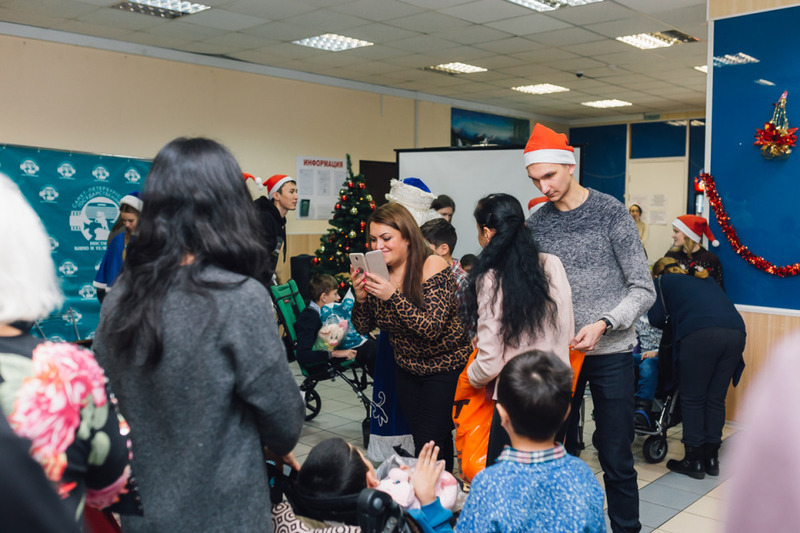 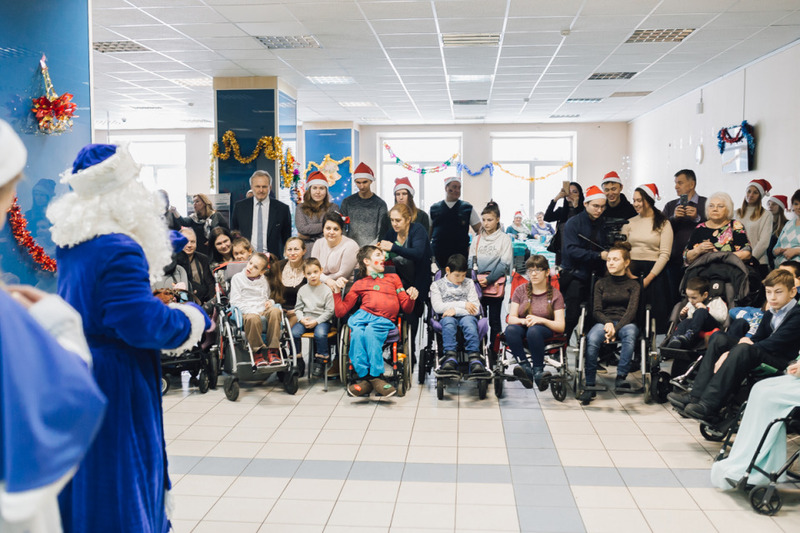 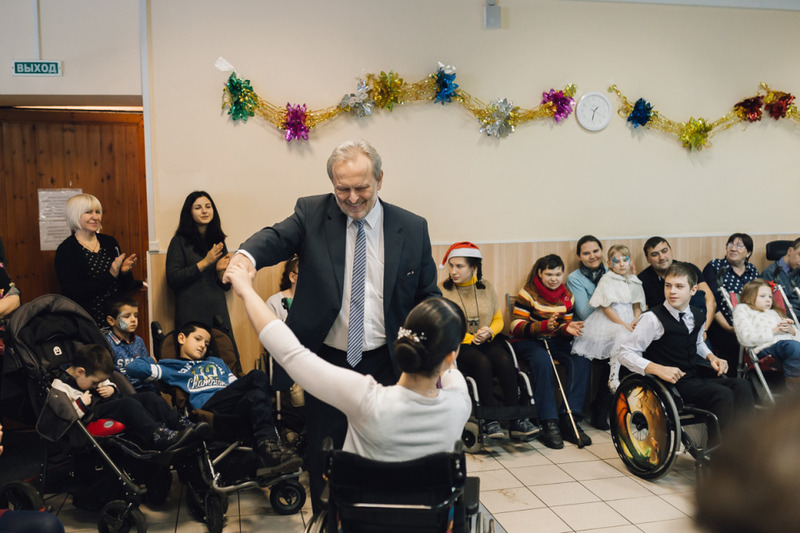 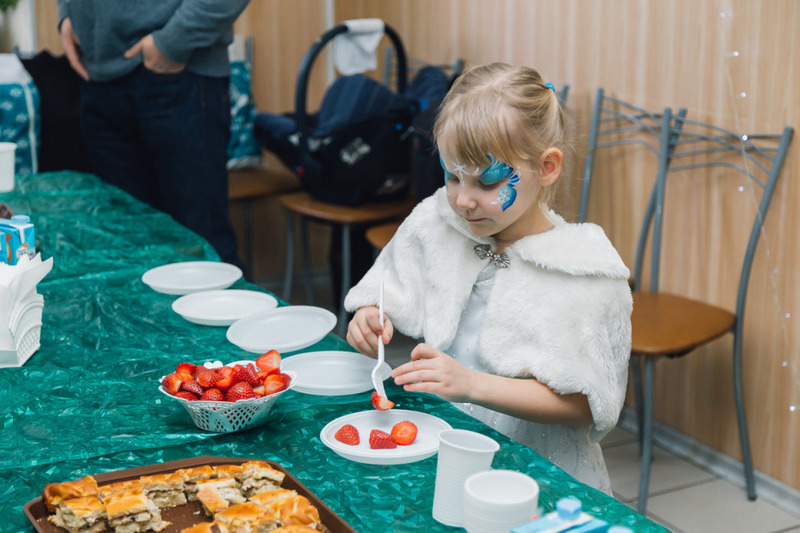 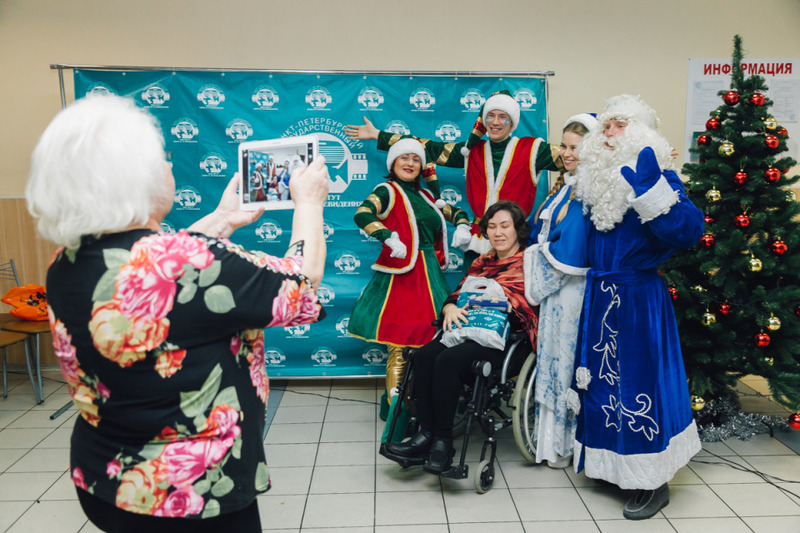 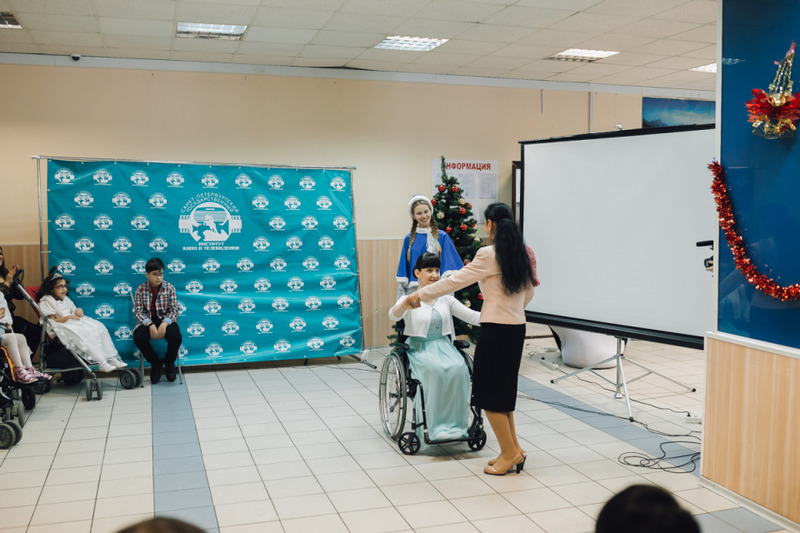 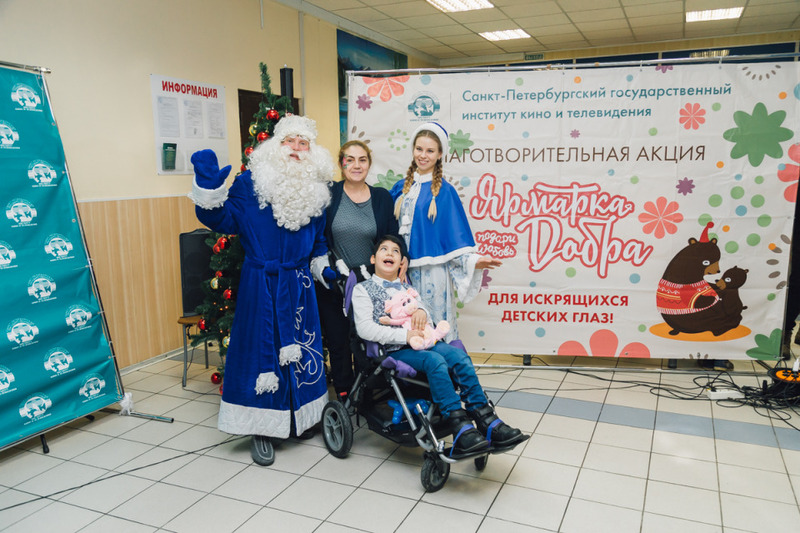 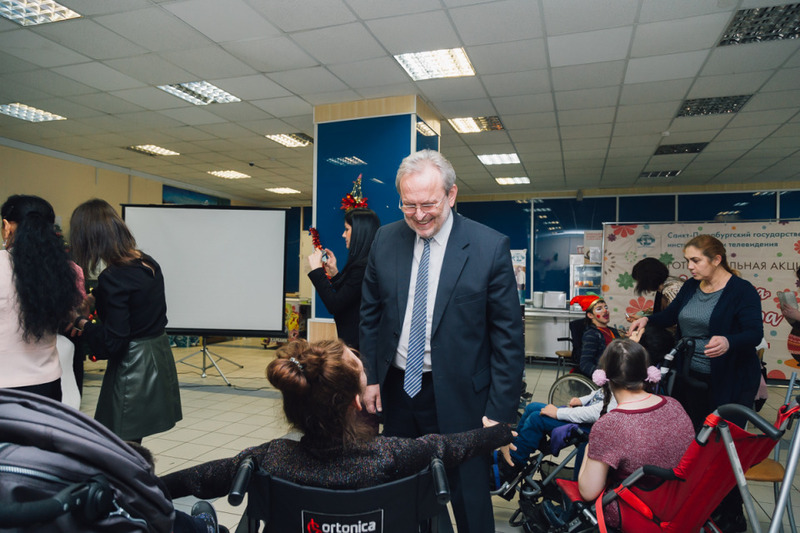 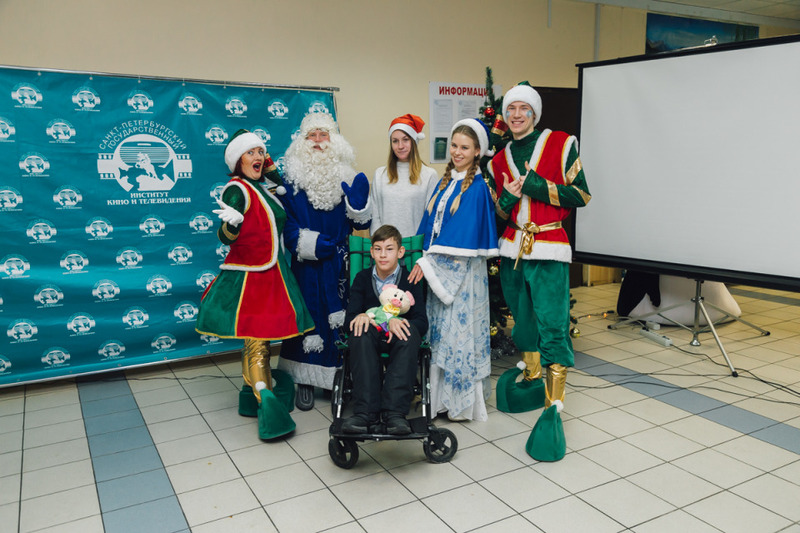 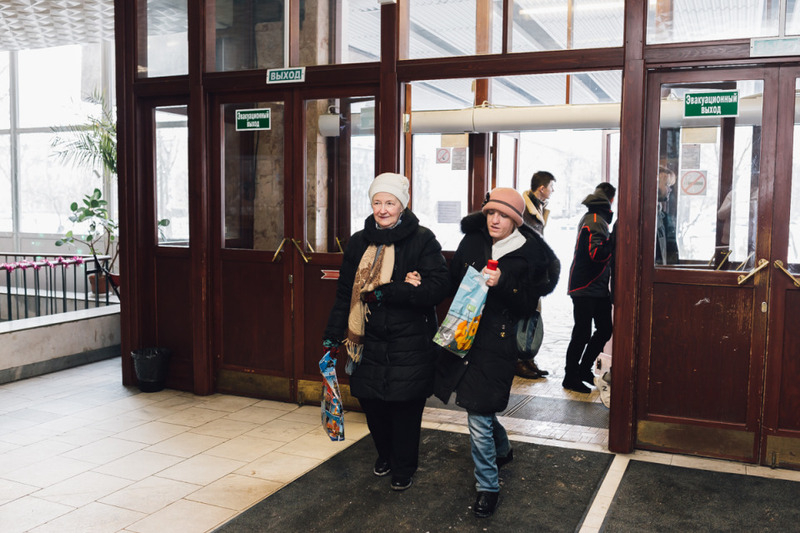 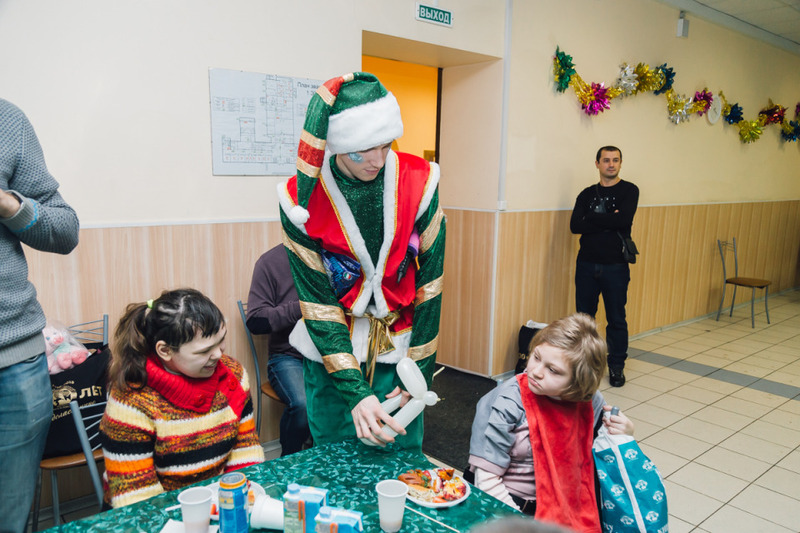 The funds raised at the “Fair of Good”, held especially on the eve of the New Year and for “Arevik”, as well as with the help of additional funds raised by teachers and students, were purchased gifts for children, necessary things, toys and medicines. 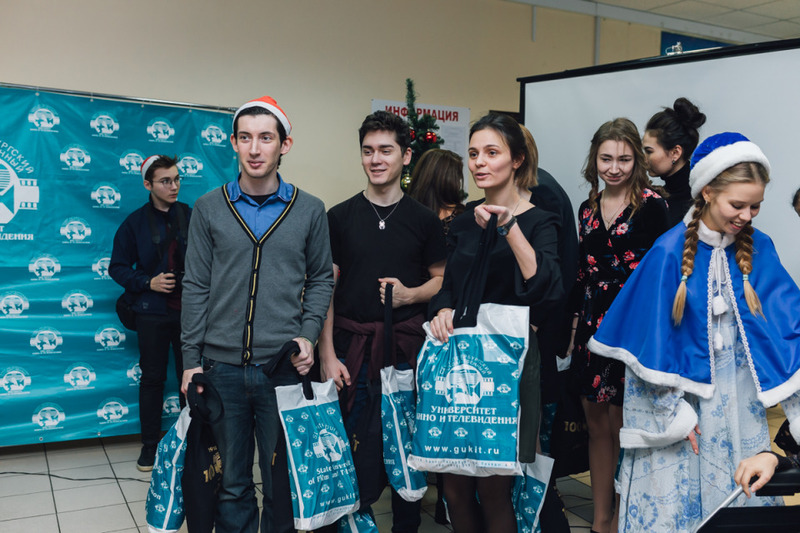 - For the first time in the history of our friendship, we decided to invite you to our New Year's holiday, so that you can look at the life of our students: where they study, where they spend their free time. 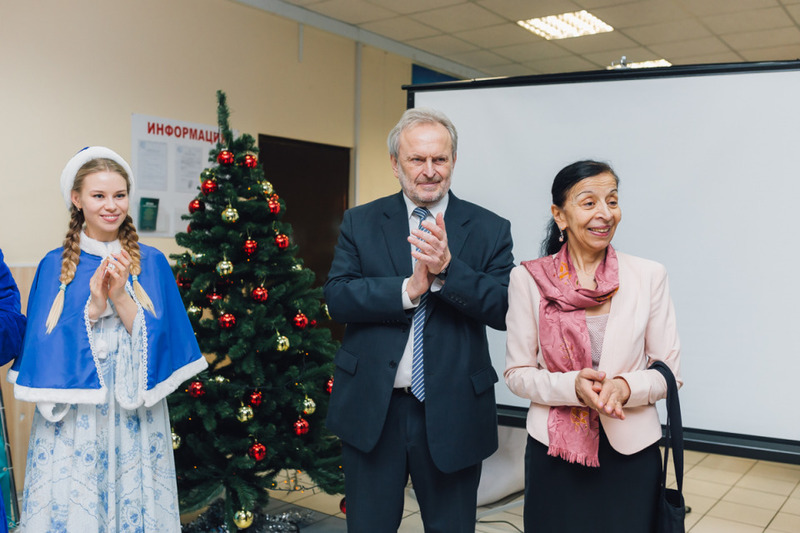 On behalf of our entire University, I wish you and your parents a Happy New Year! 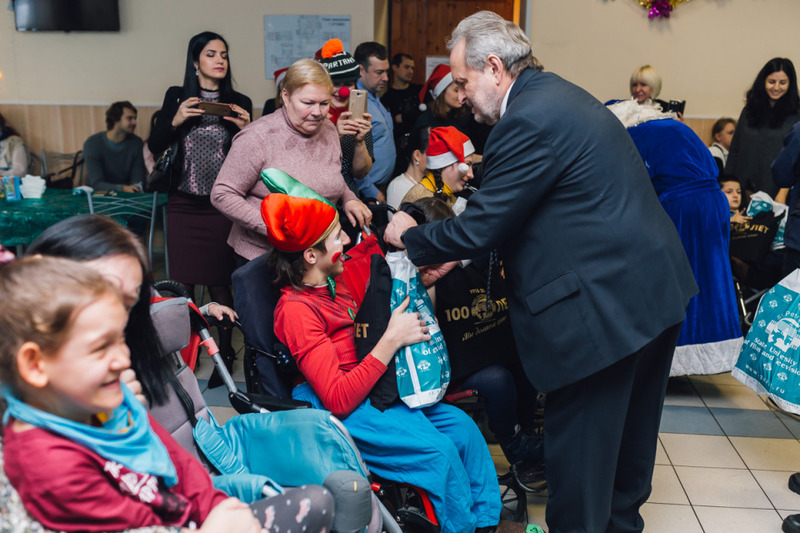 Let 2019 be generous with bright moments, good news and unforgettable impressions! 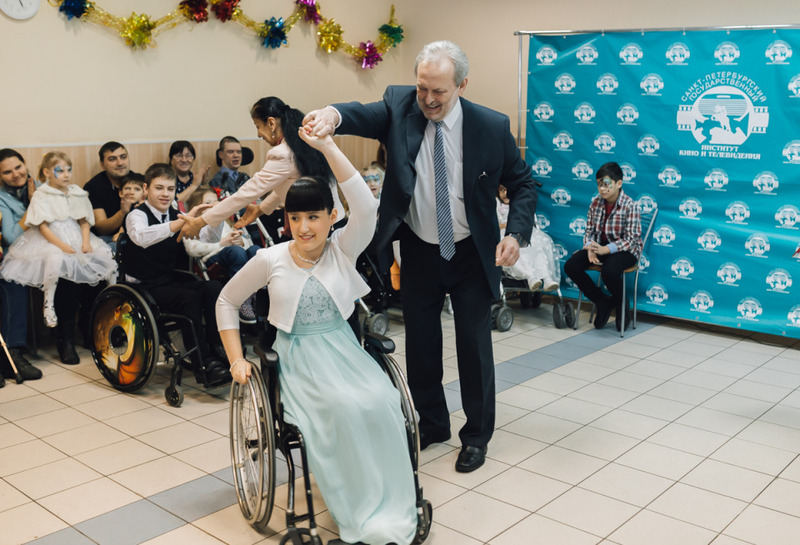 Students prepared dance and music performances, not a single child was left without attention: everyone was involved in the celebration. 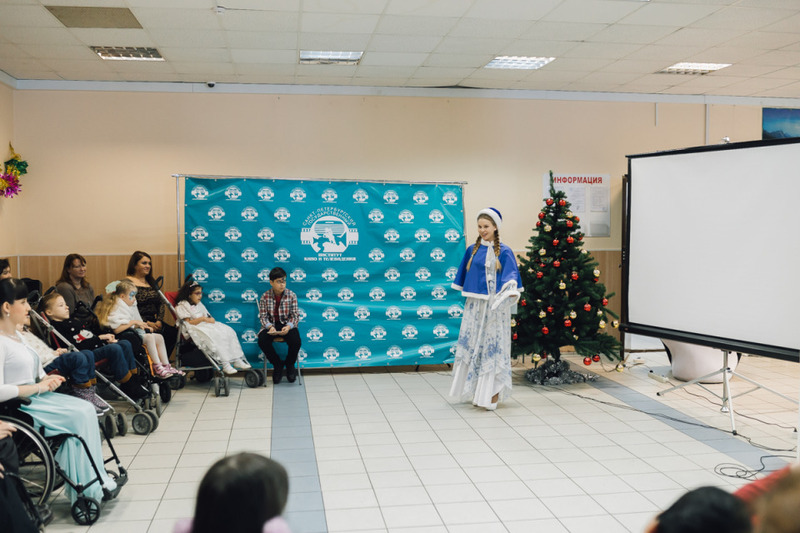 “Shine, shine, burn!” - the children and their parents shouted, and the main New Year's symbol - an elegant Christmas tree - sparkled with lights. 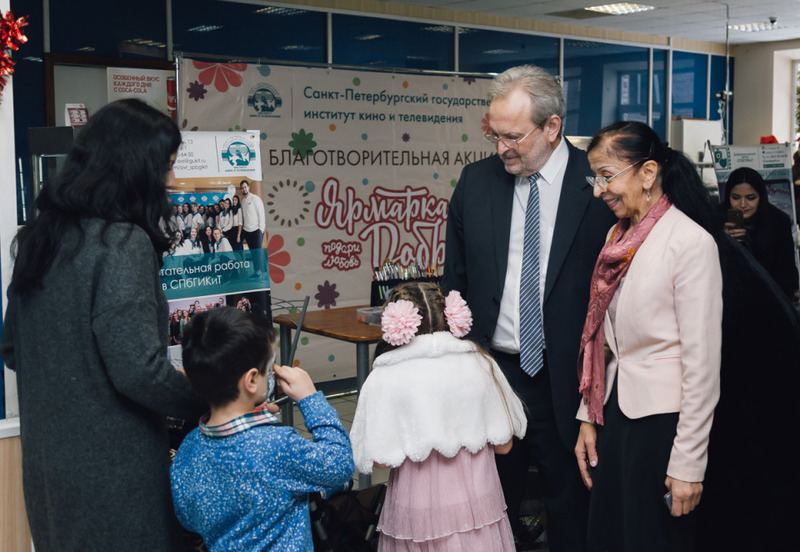 The most interesting and very significant moment for the children was the viewing of cartoons created by children from Arevik. 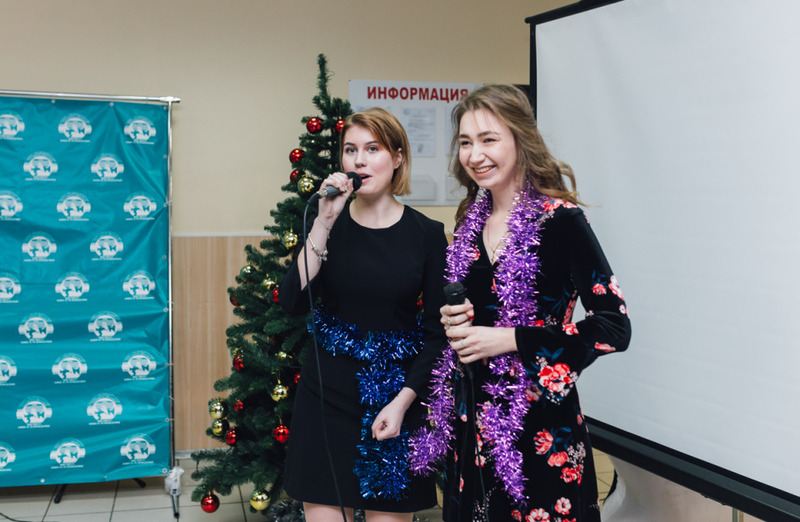 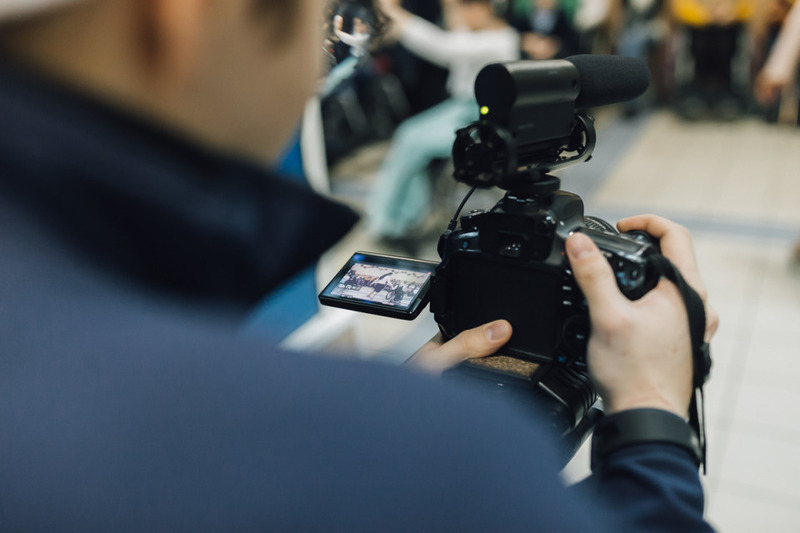 To help illustrate the poems of Agnes Barto, the guys from the student Ekaterina Sharapova's project “Mult Yashka”, volunteered to do. 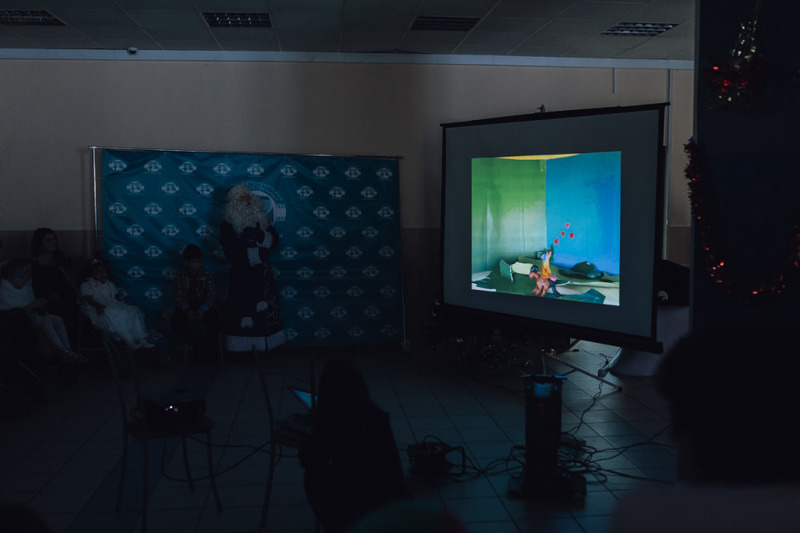 The works were made of plasticine and colored paper, the short films were voiced by the children themselves. 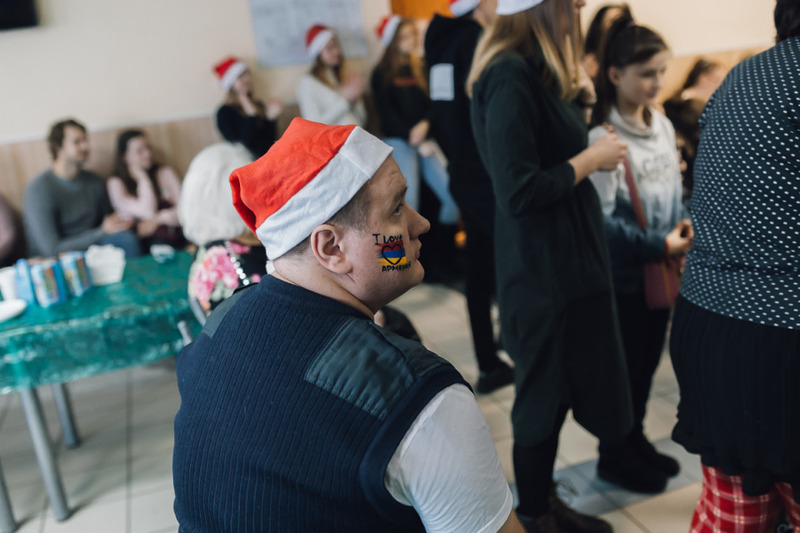 - Thank you so much for such a great holiday! 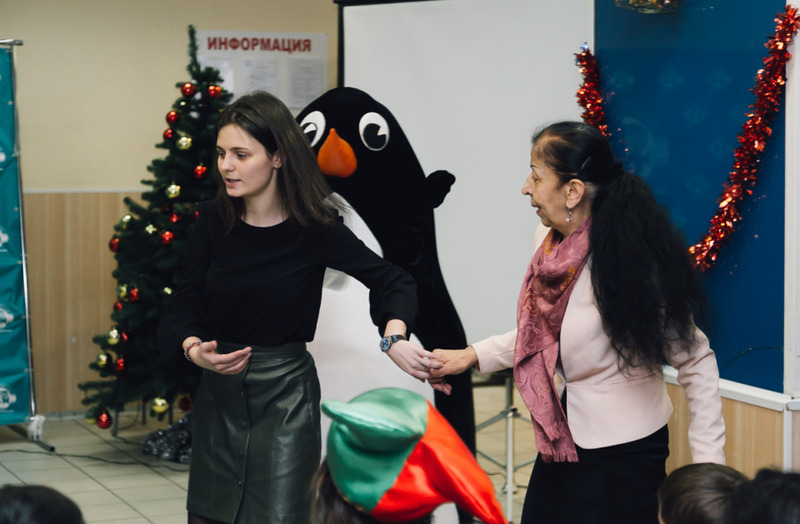 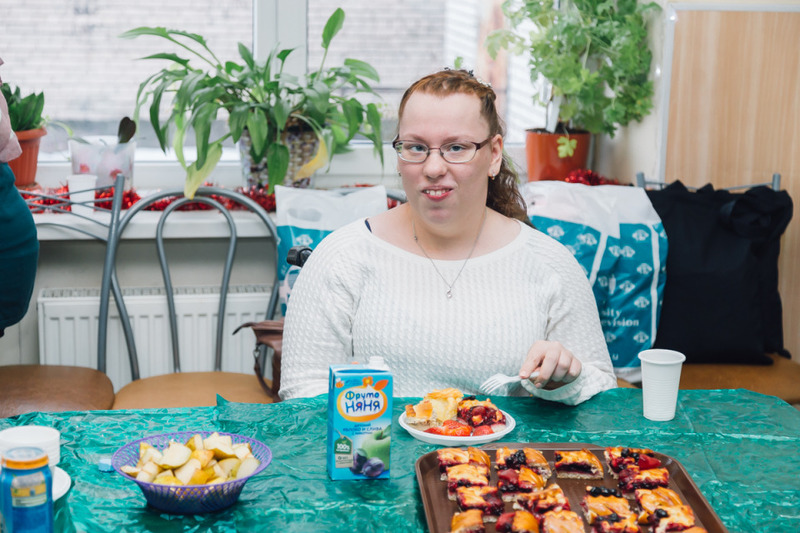 Everything was unbelievable: delicious food, dancing, New Year's performance! 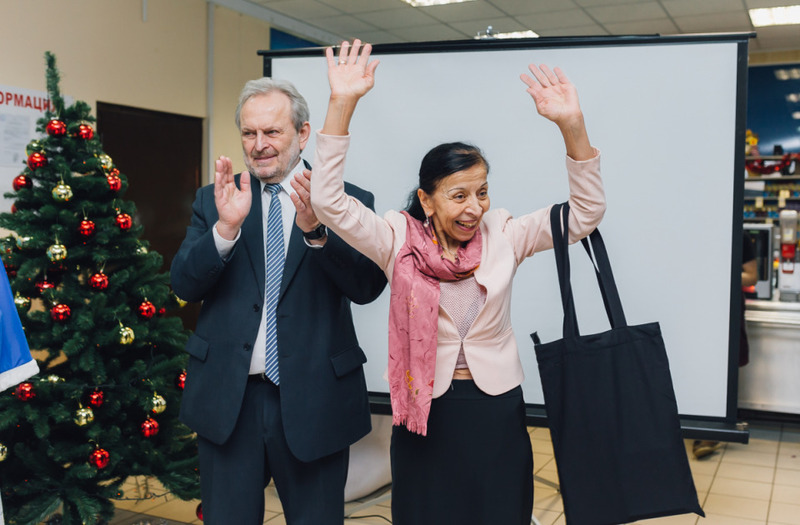 I am delighted! 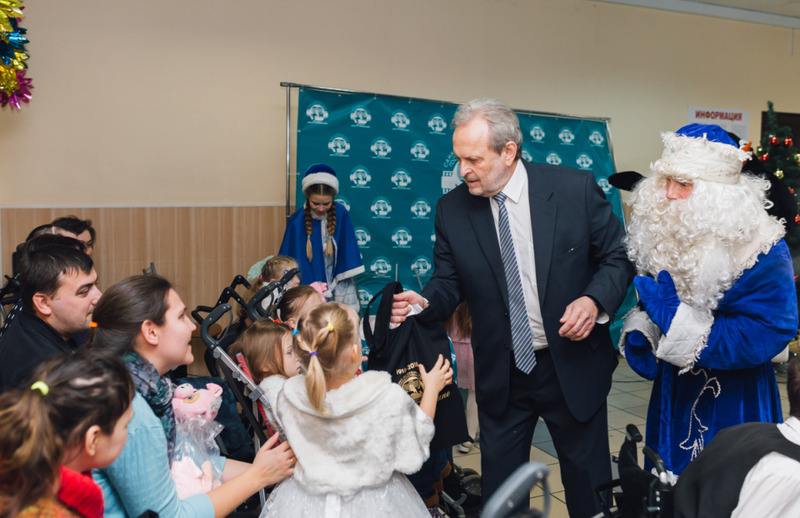 - On behalf of all parents, I express my deep gratitude to the University, to all students and staff for such a warm welcome. 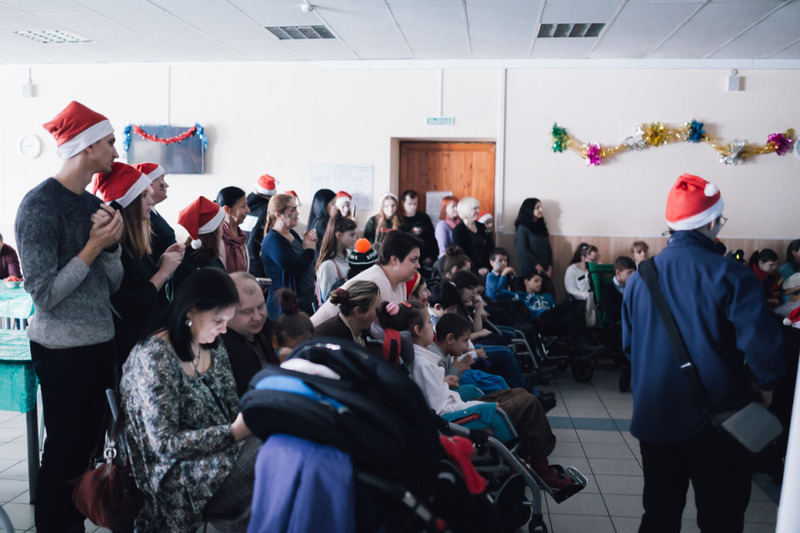 You created such a magical atmosphere, gave our children a real holiday. 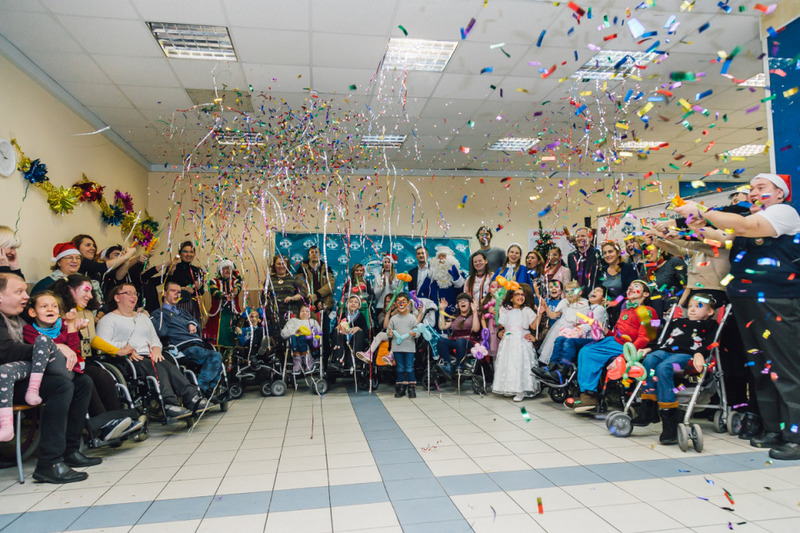 It is impossible to describe in words those emotions that we all experience here! 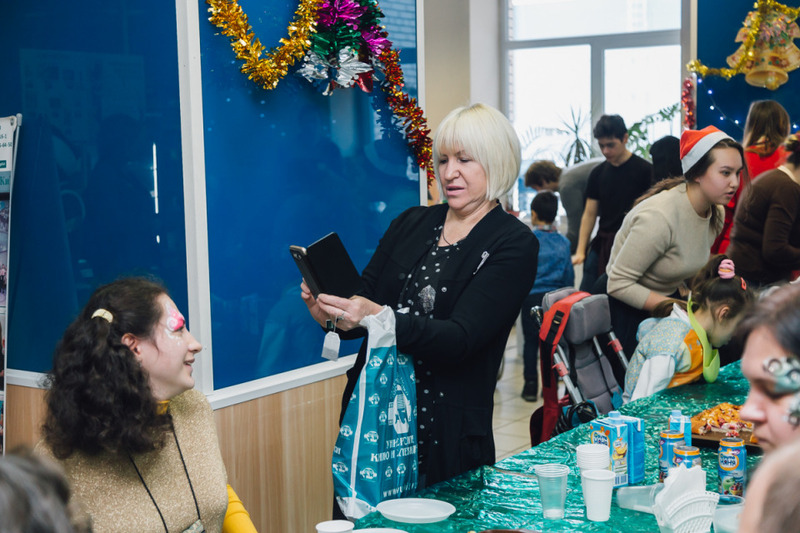 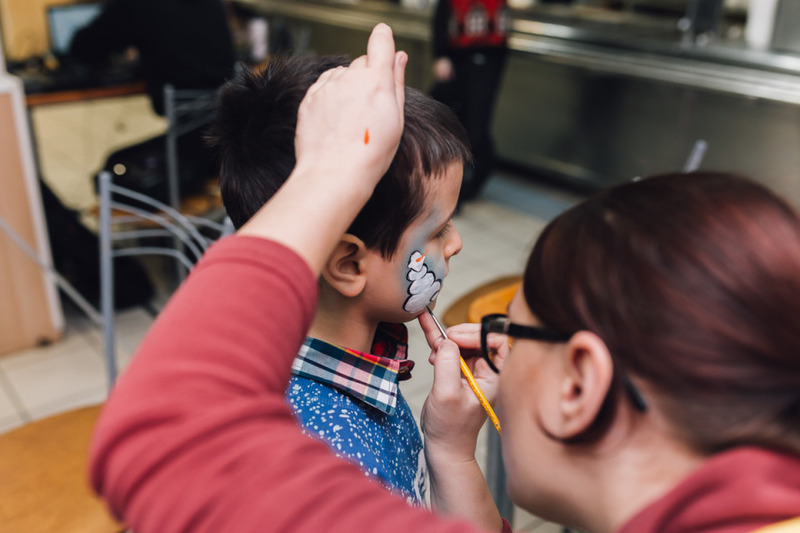 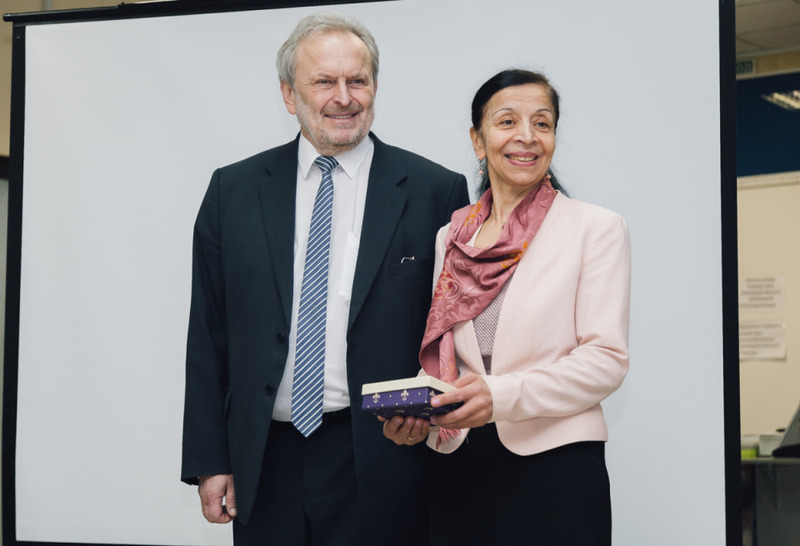 The University volunteers provided invaluable support to children and their parents. 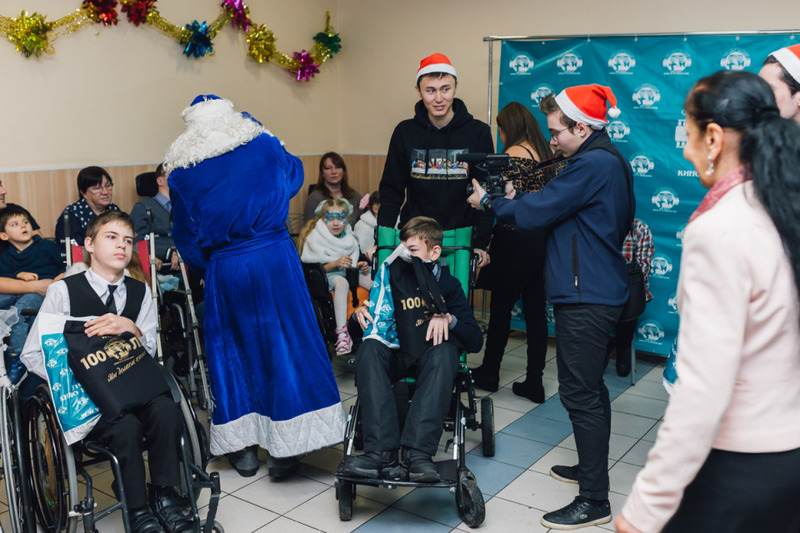 The guys talked with the guests, made sure that no one was bored, everyone remained full and happy. 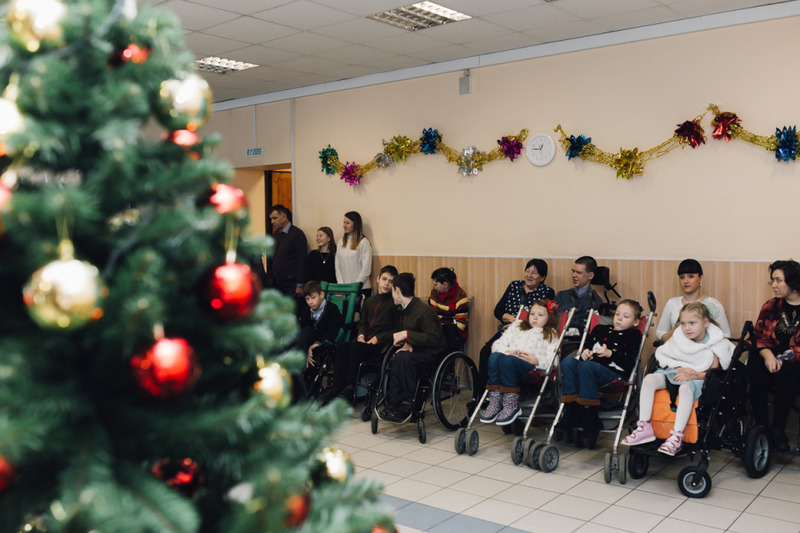 The holiday has turned out sincere and touching. 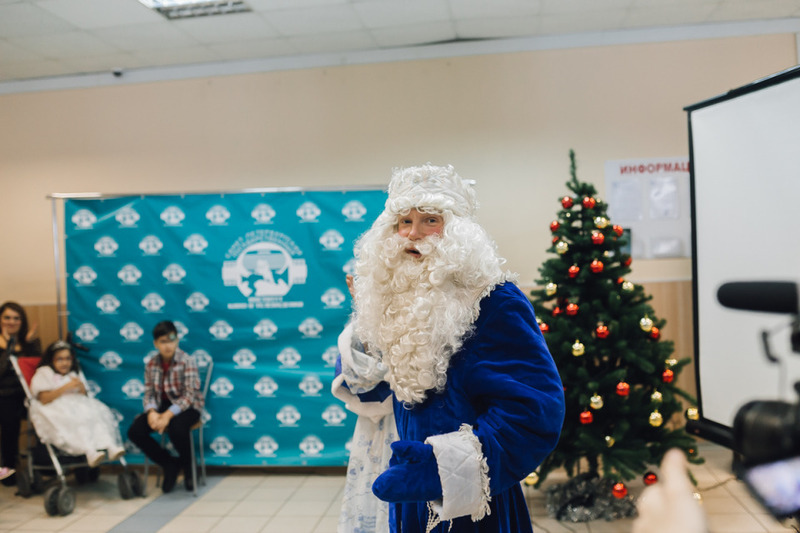 Everyone received a long-awaited gift from Santa Claus. 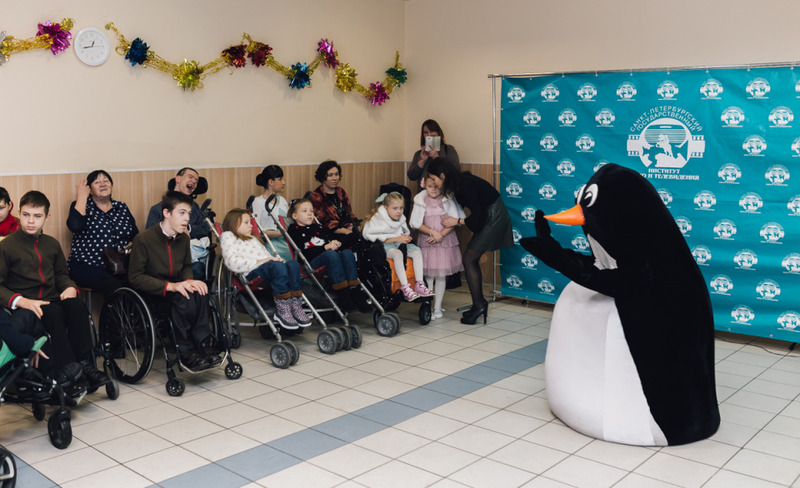 We hope, “Arevik” will have a joyful year, full of achieved goals and happy moments. 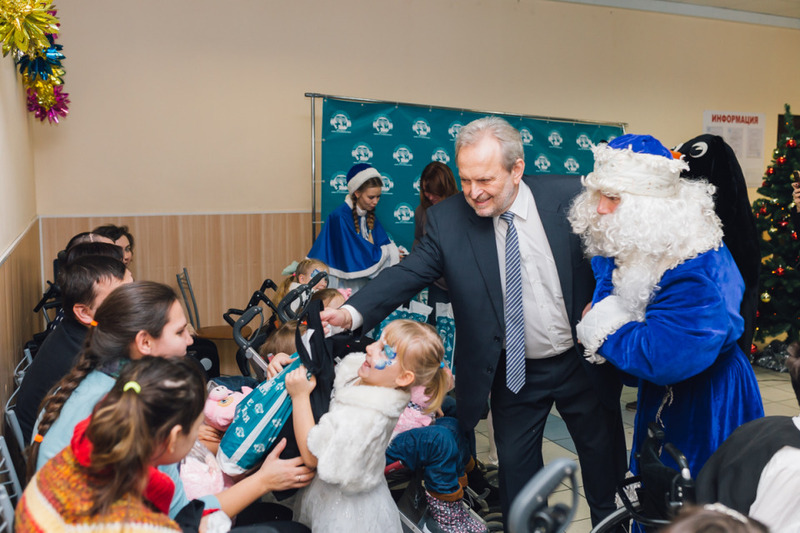 We thank everyone who put their hearty warmth to the organization and holding of the holiday!